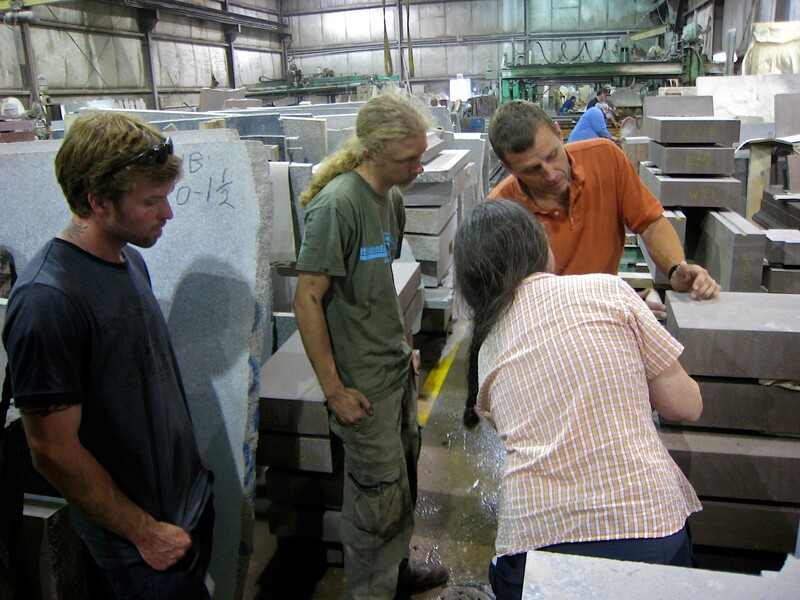 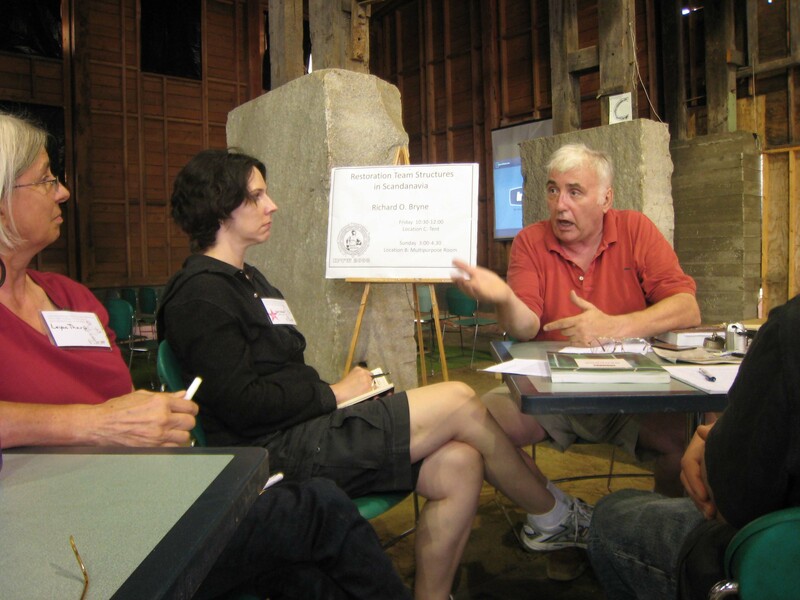 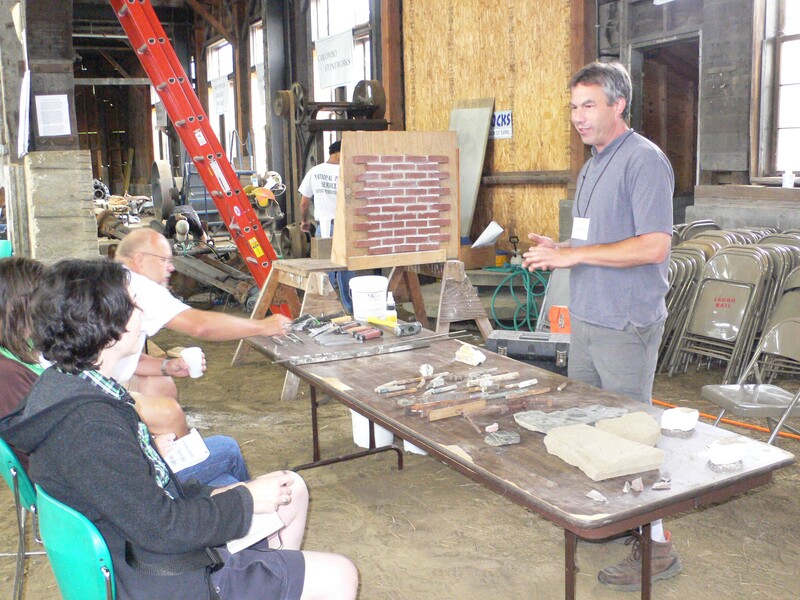 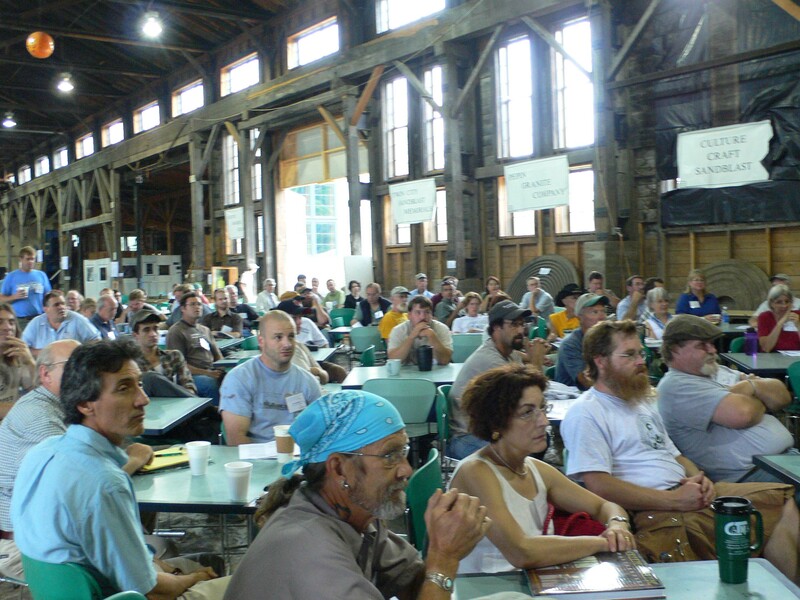 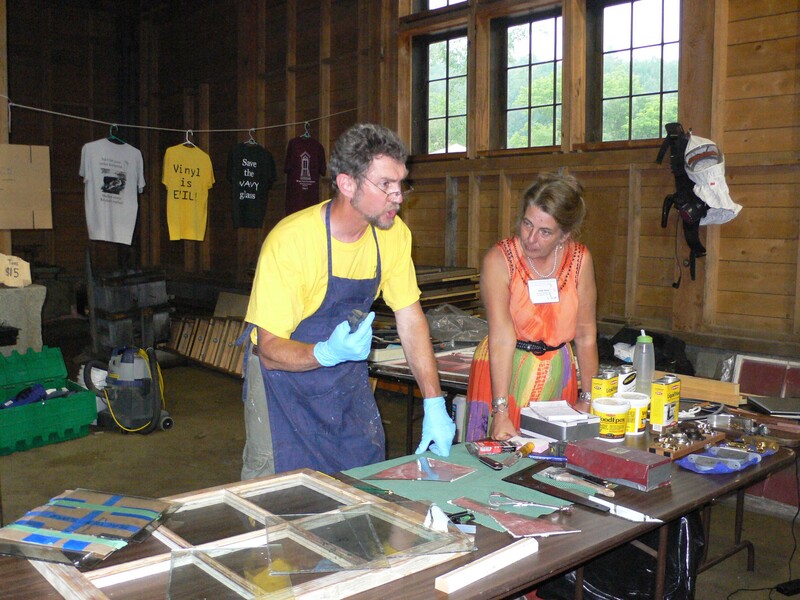 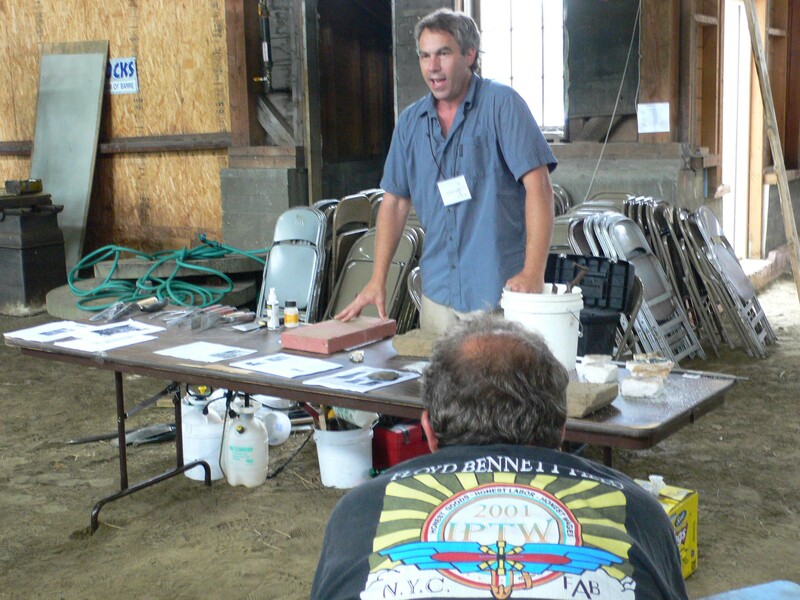 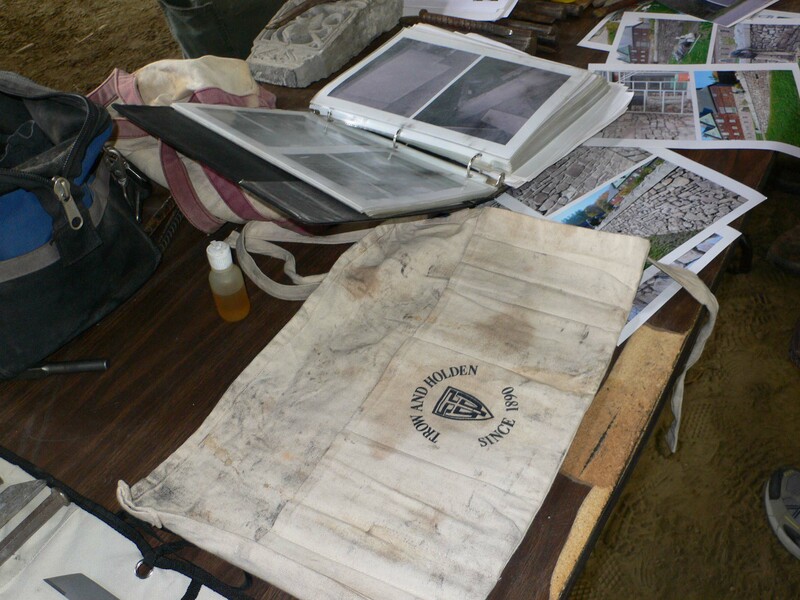 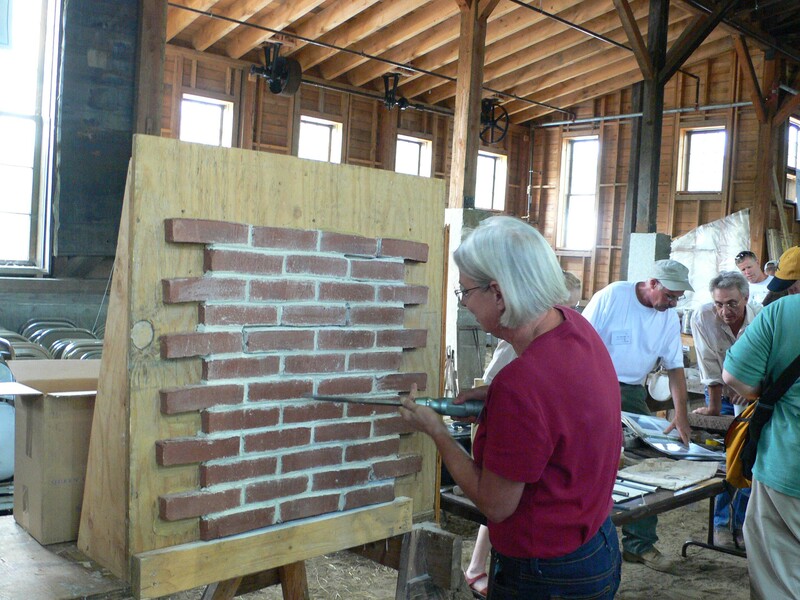 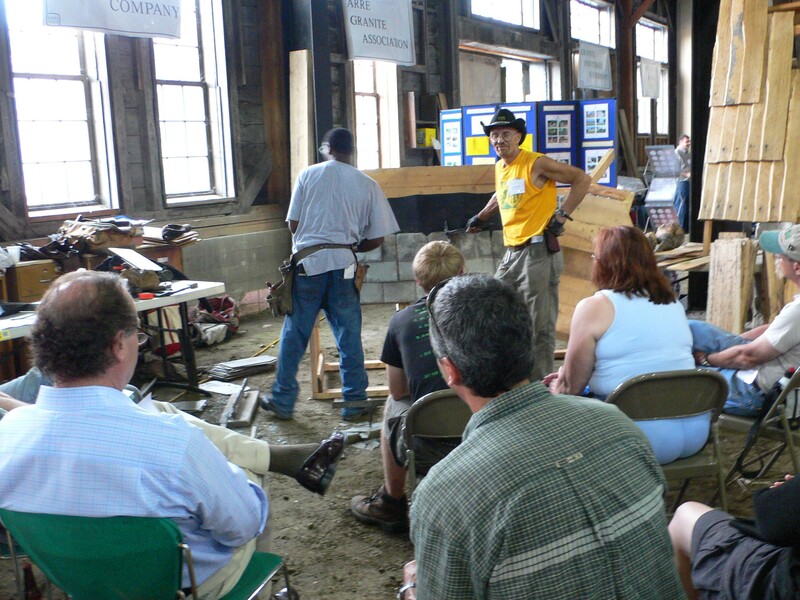 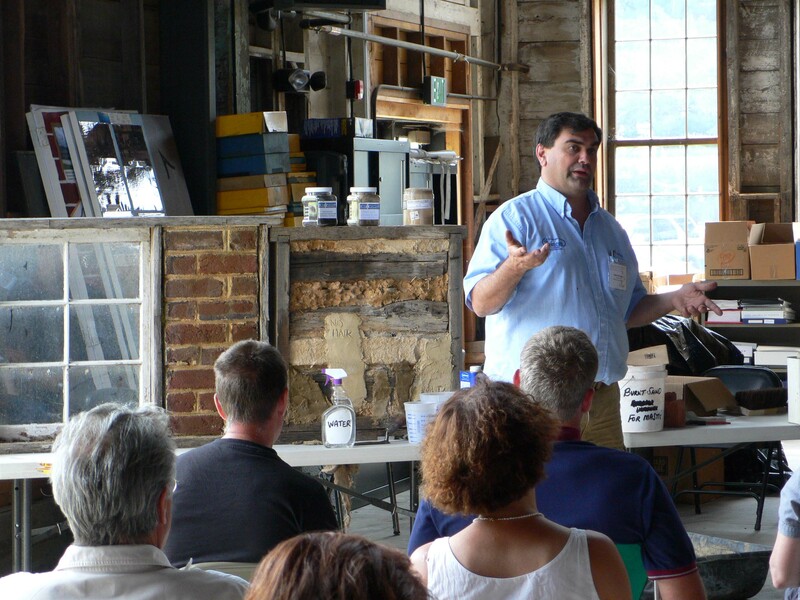 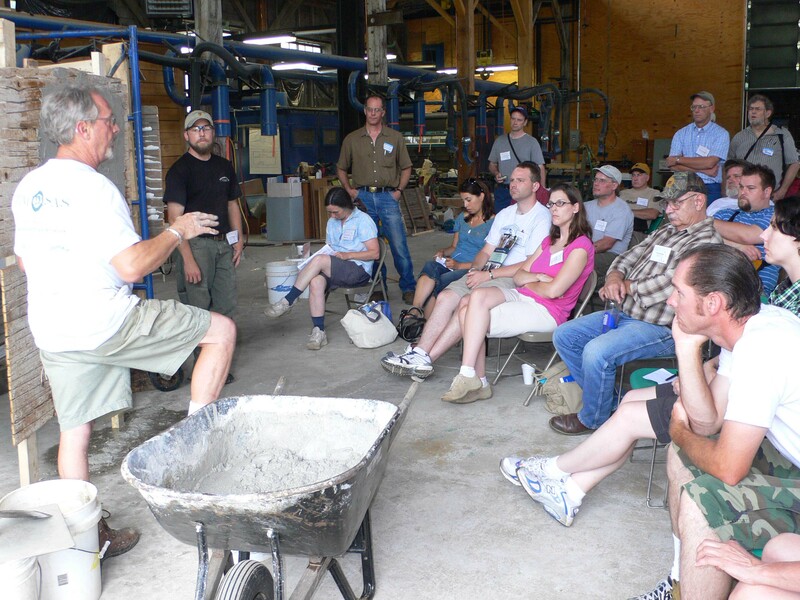 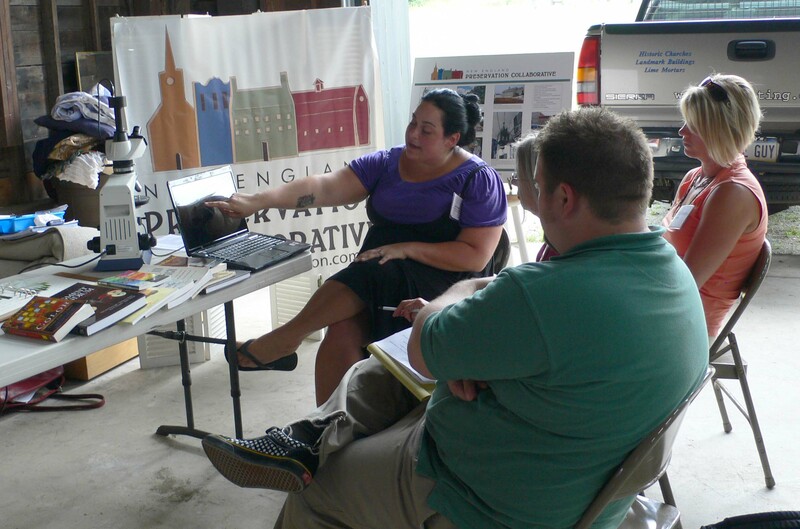 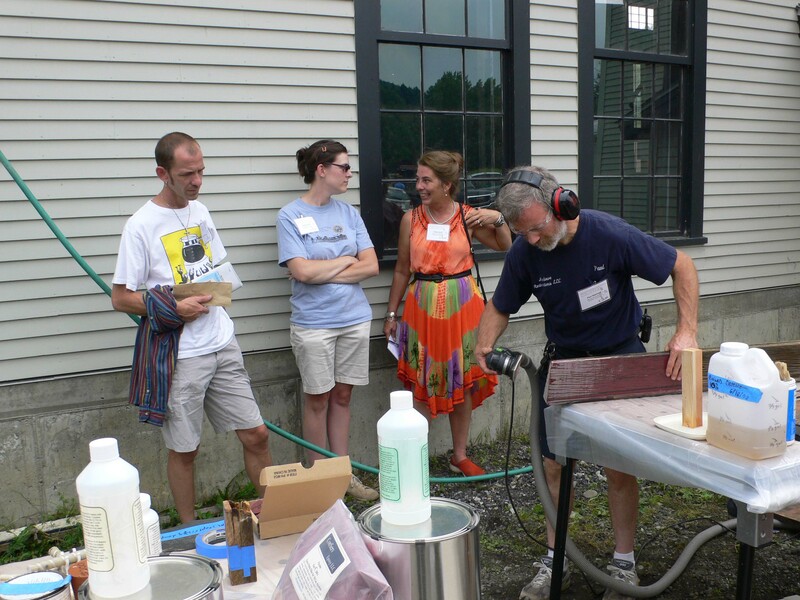 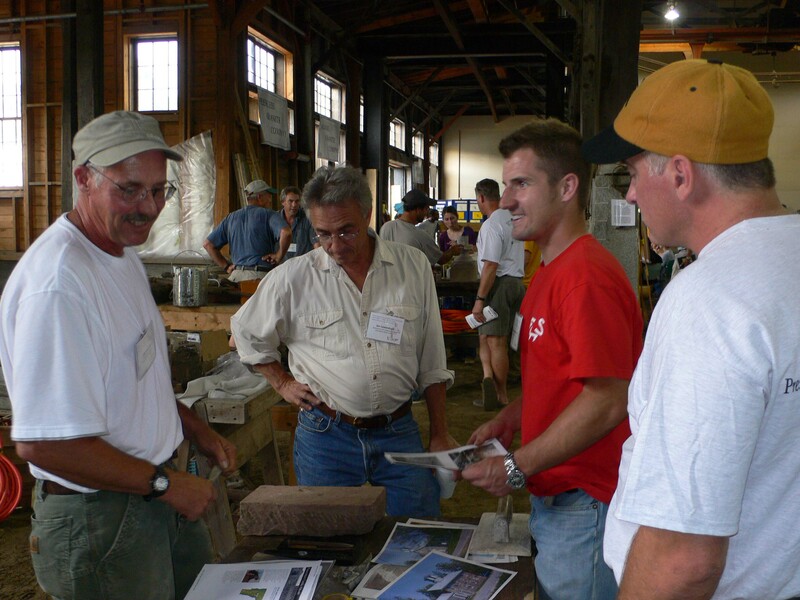 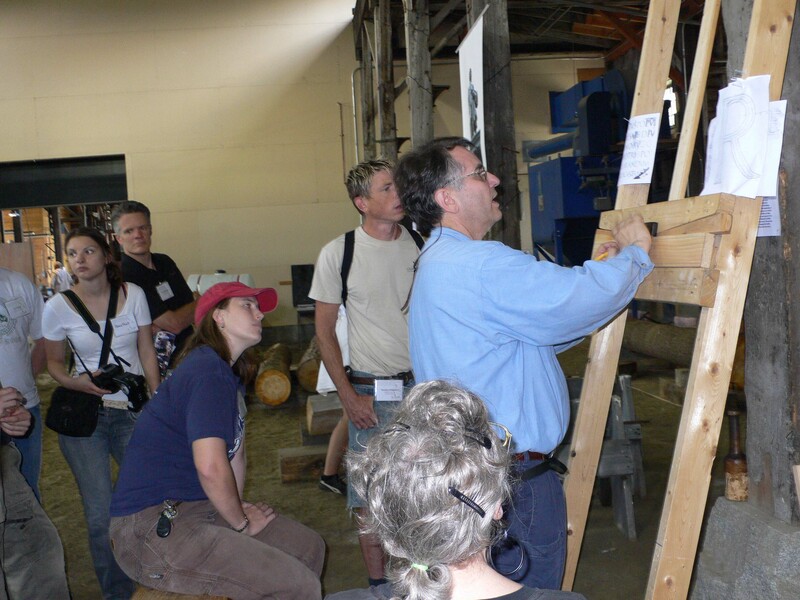 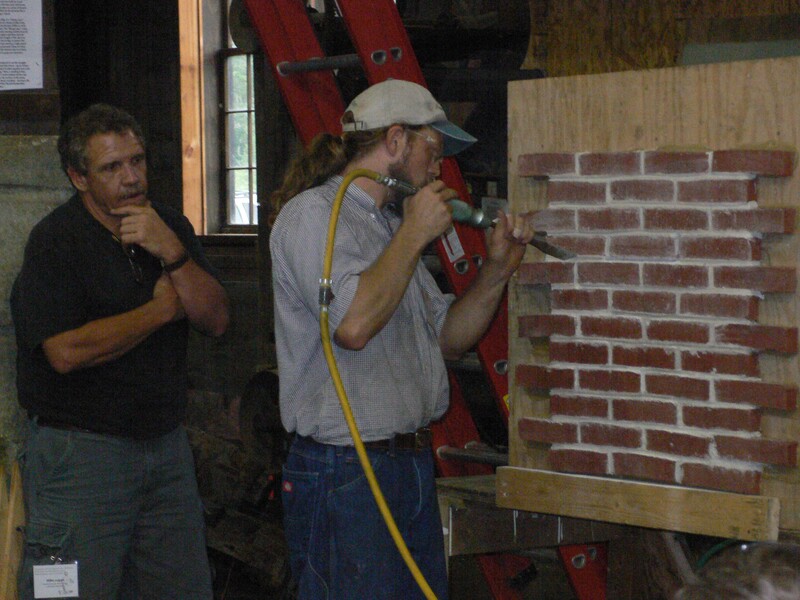 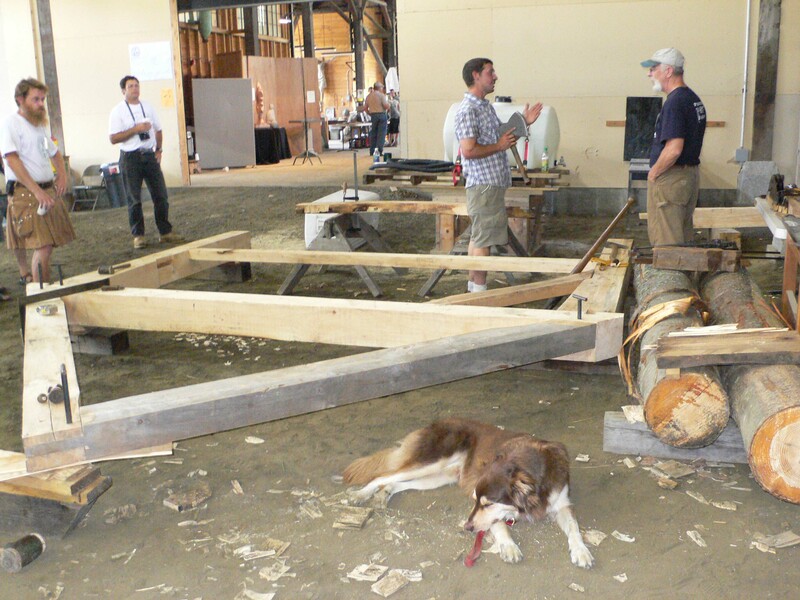 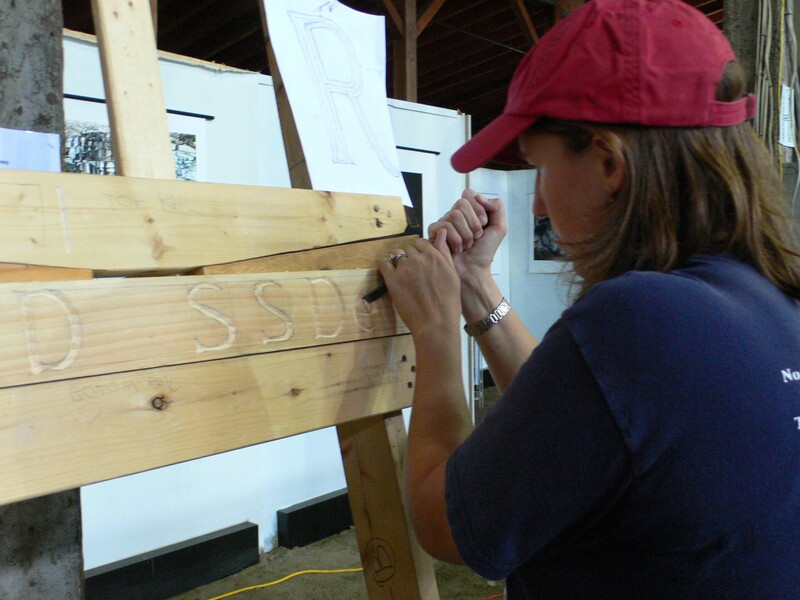 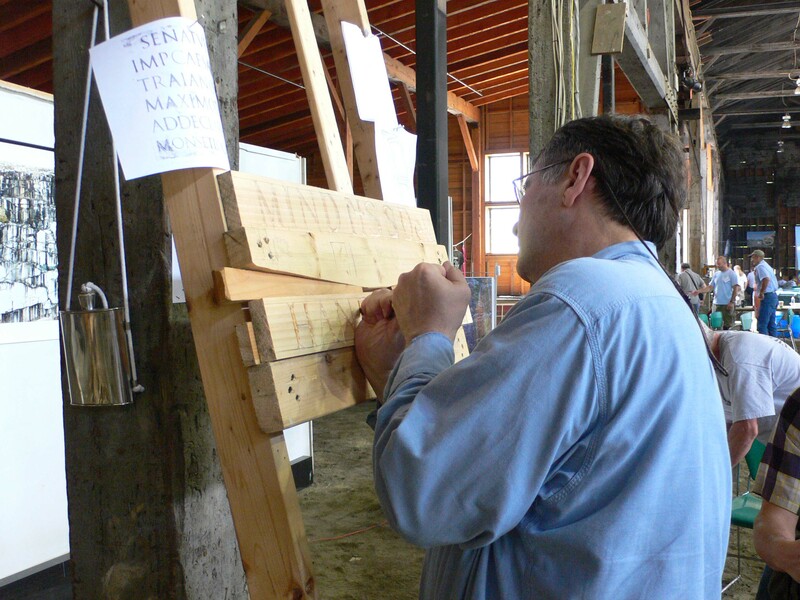 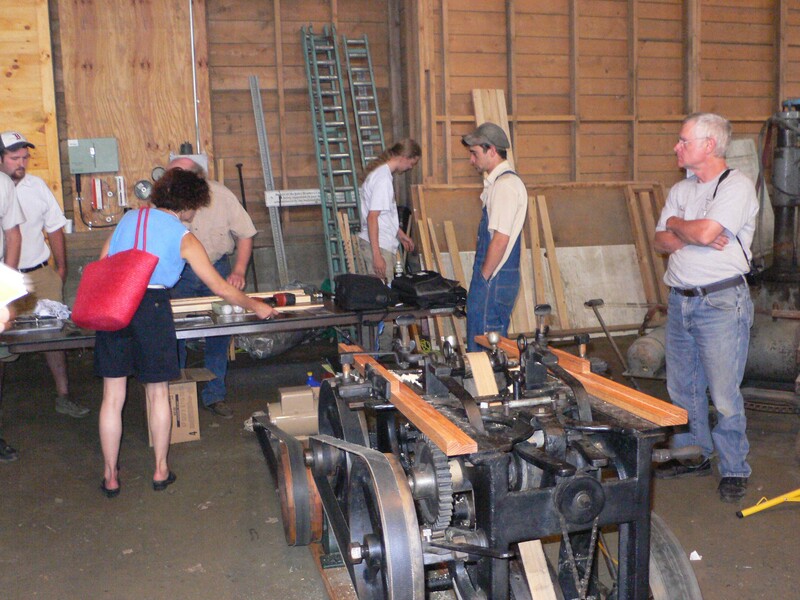 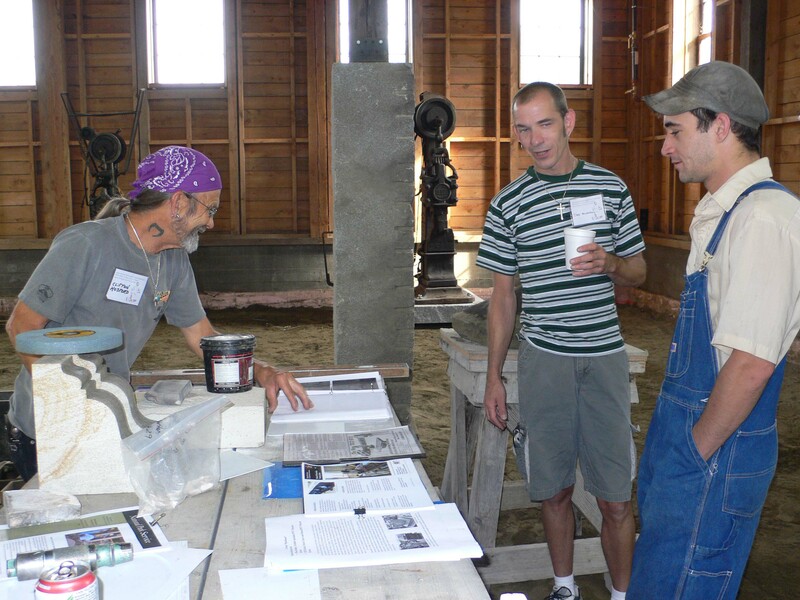 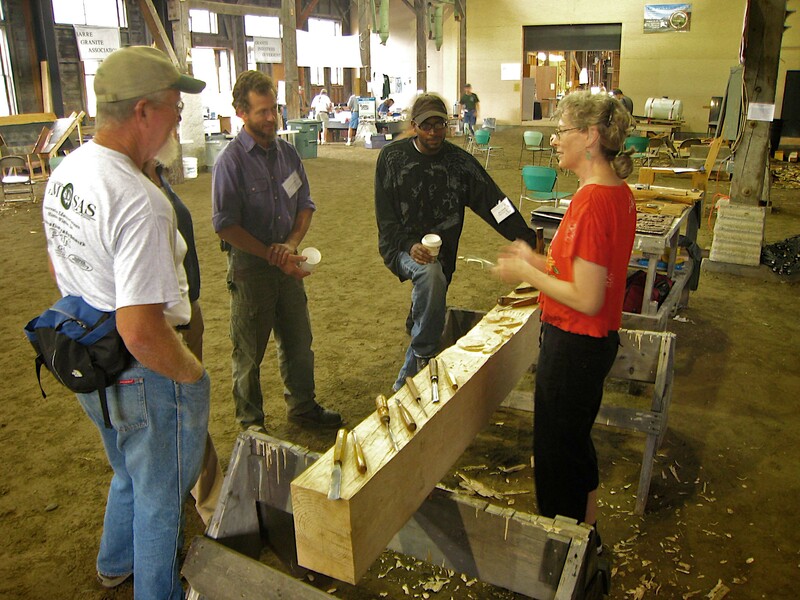 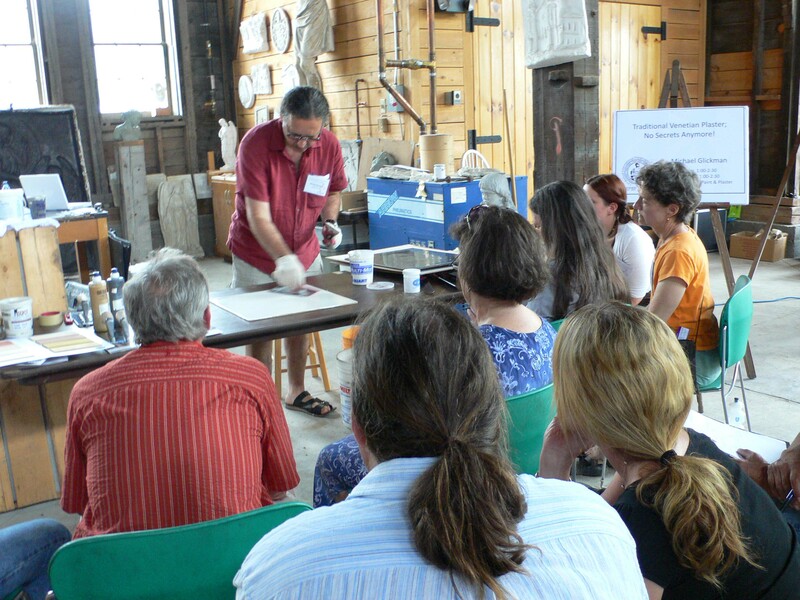 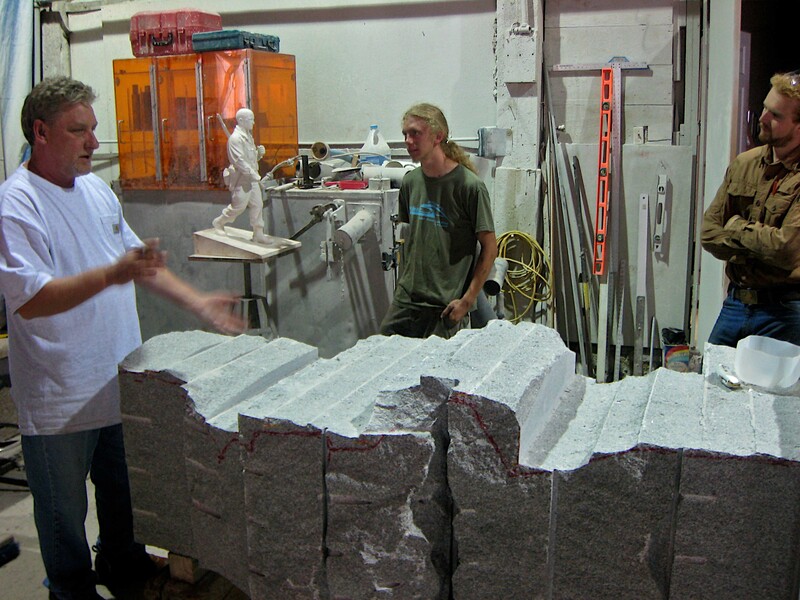 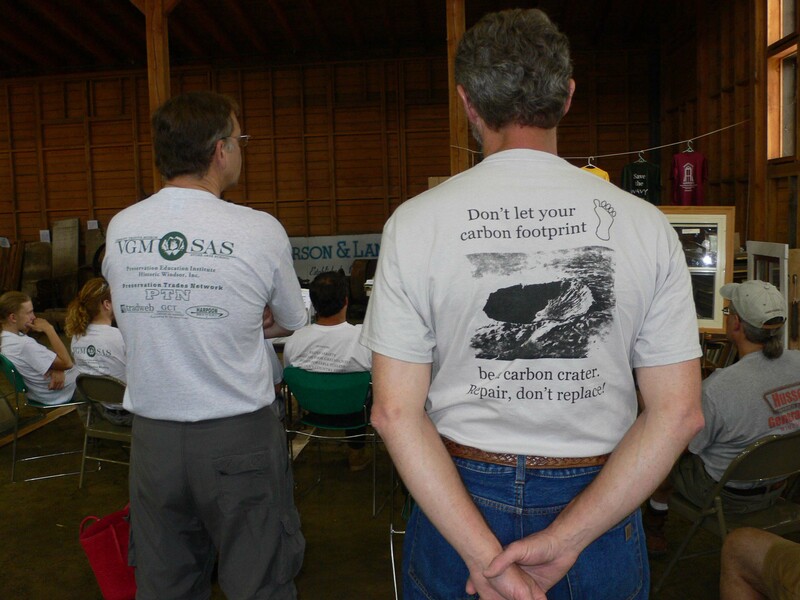 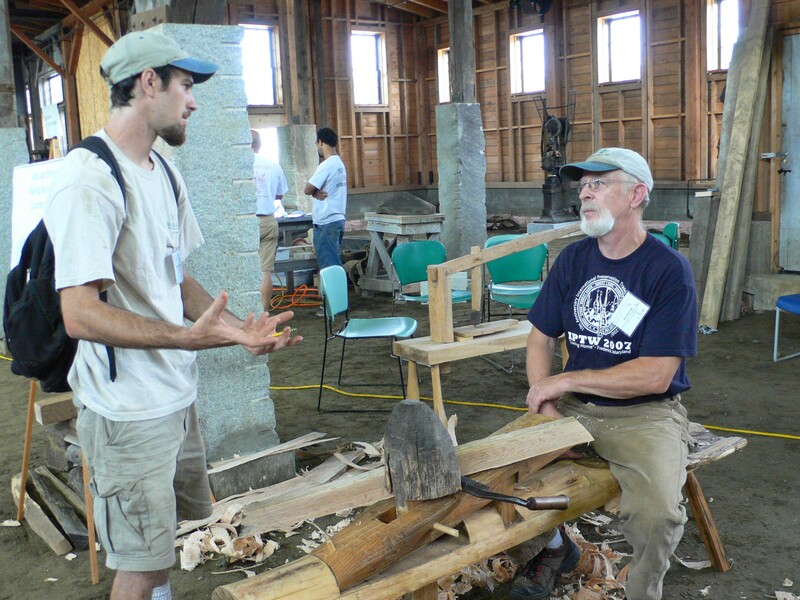 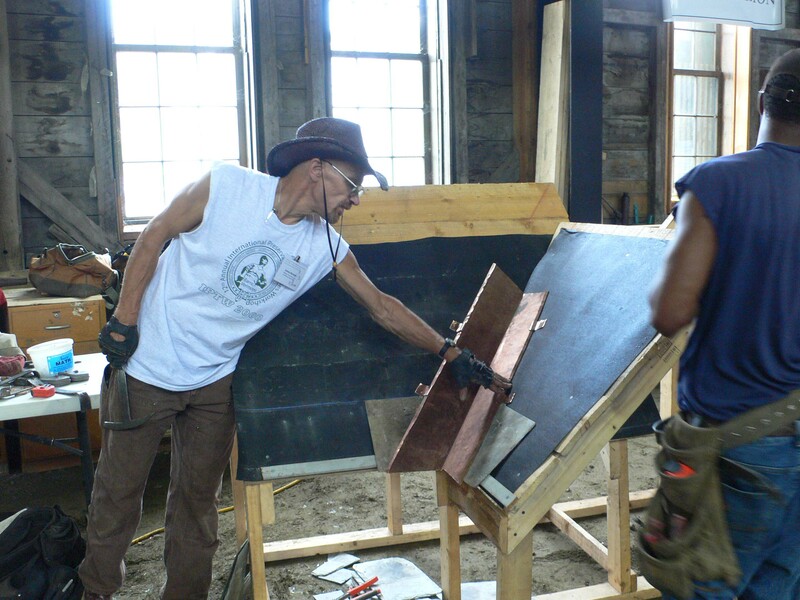 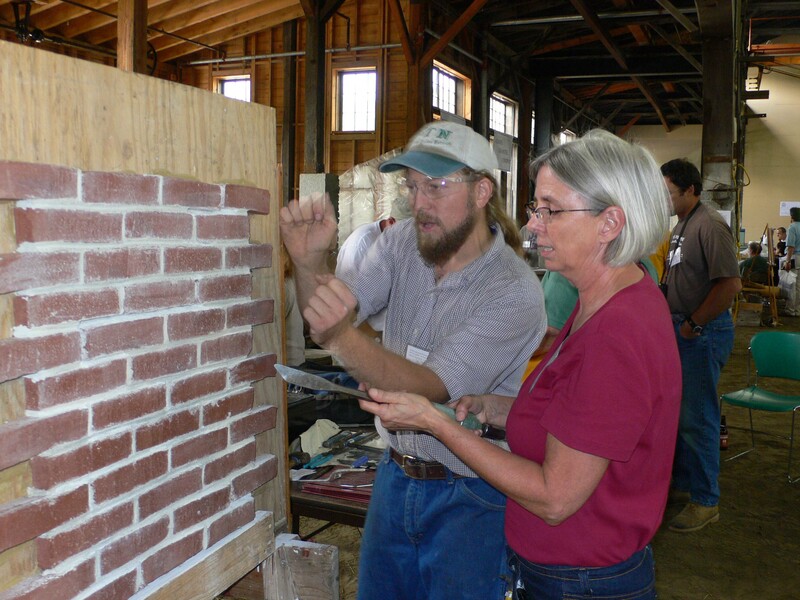 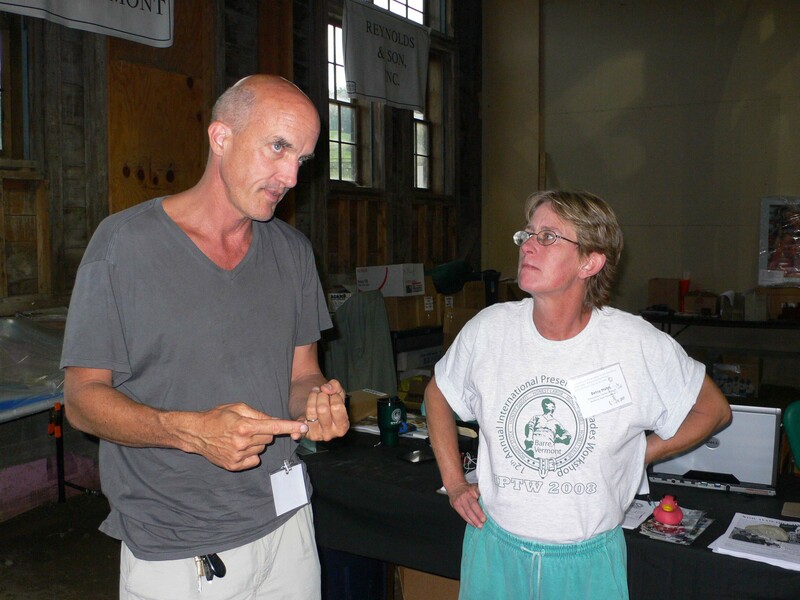 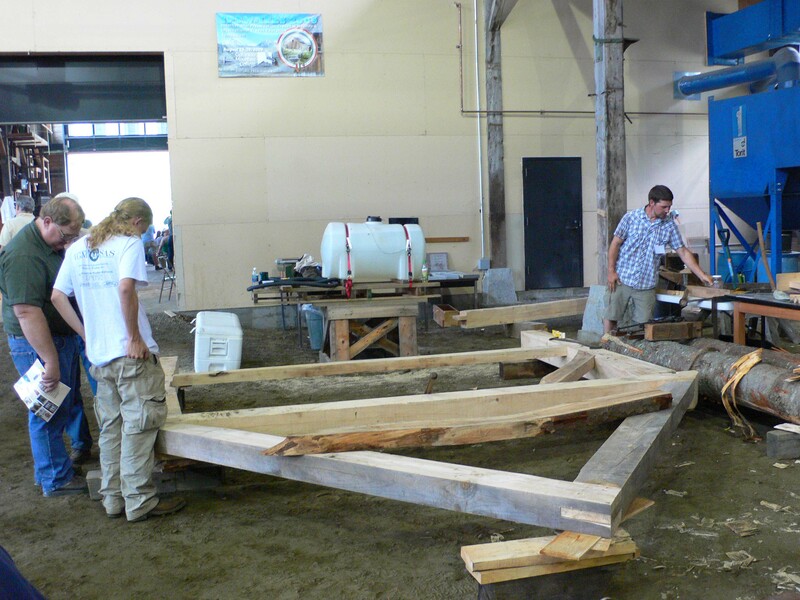 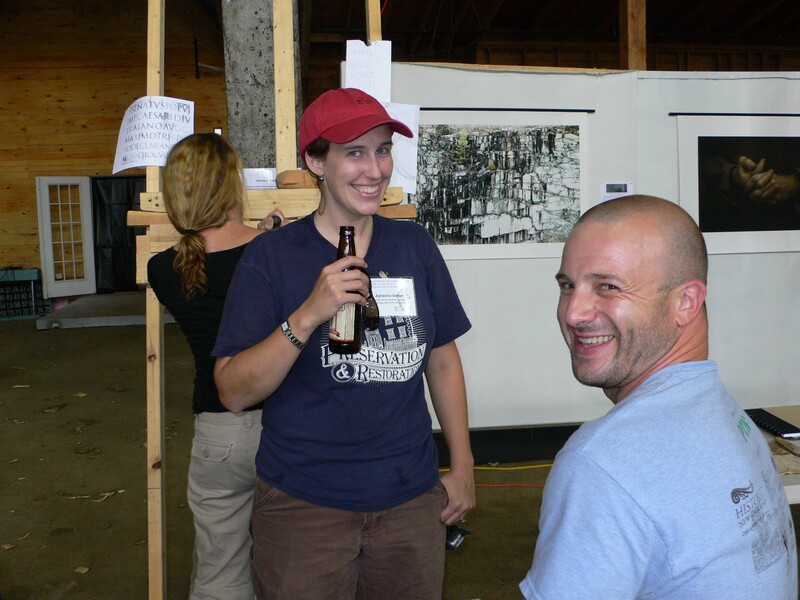 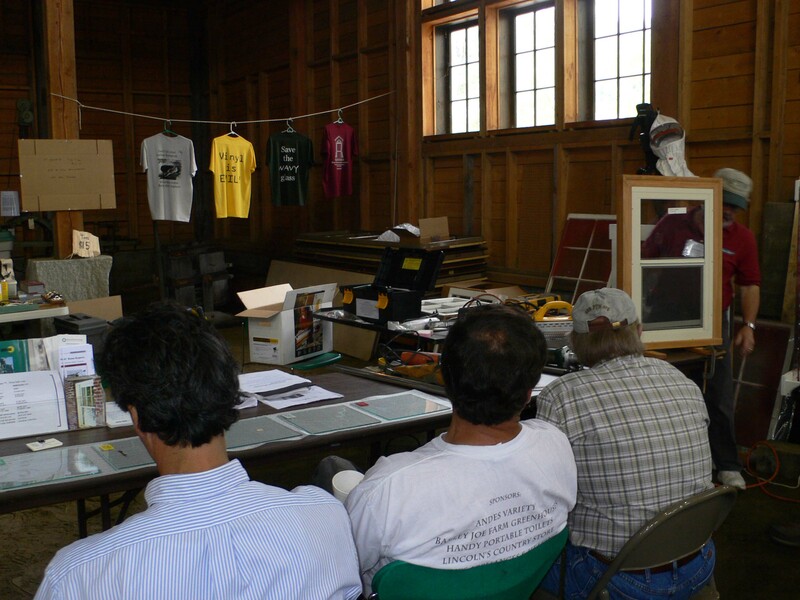 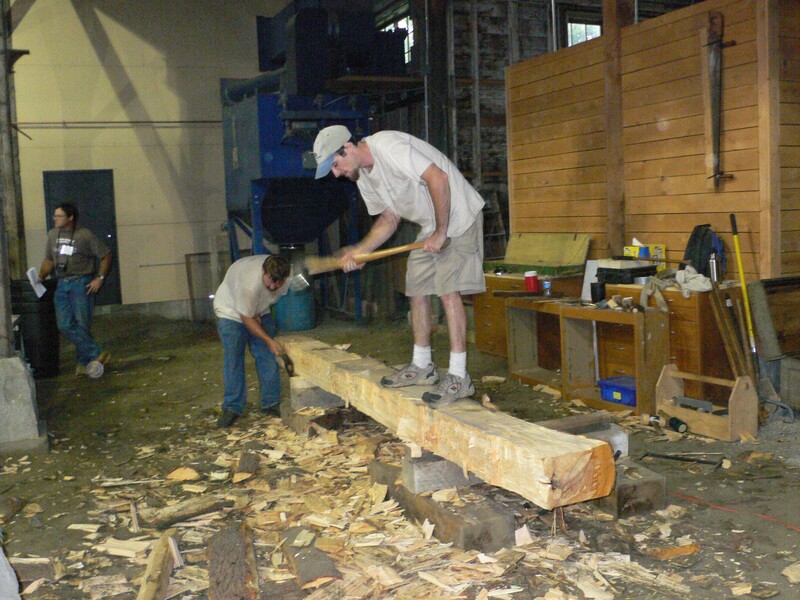 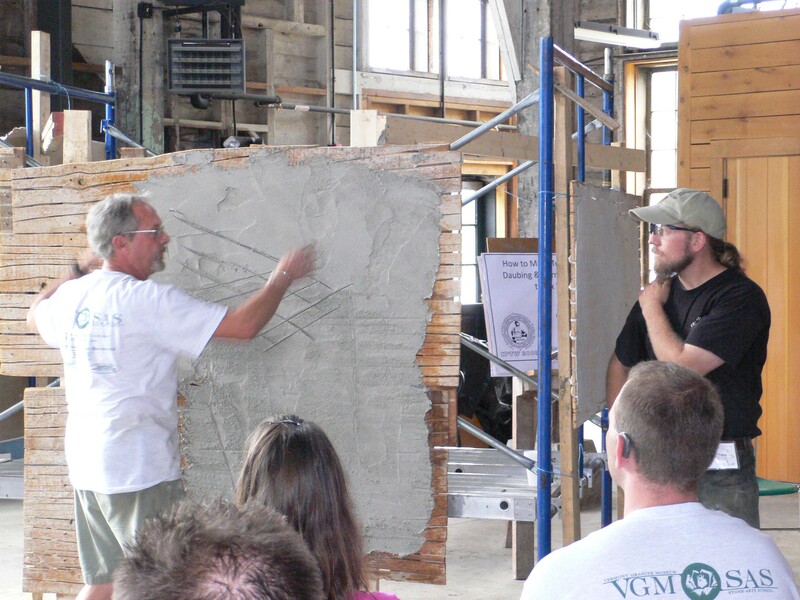 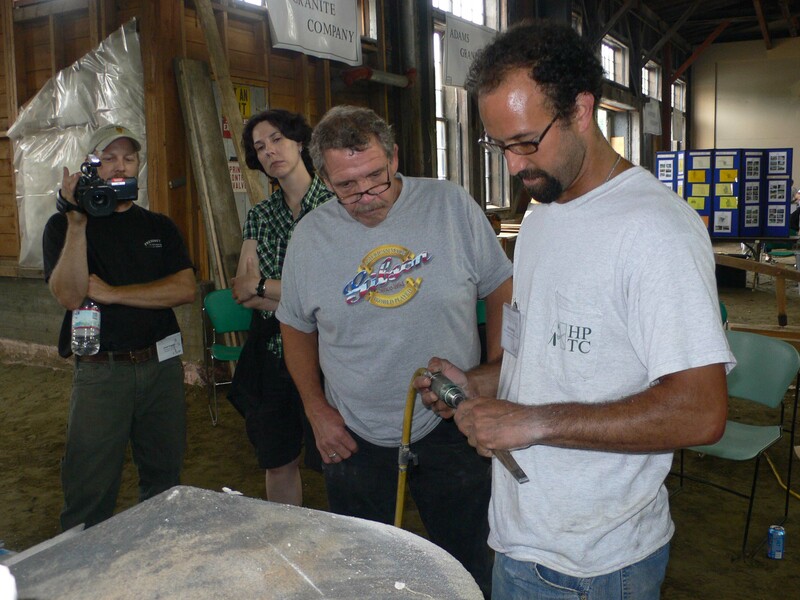 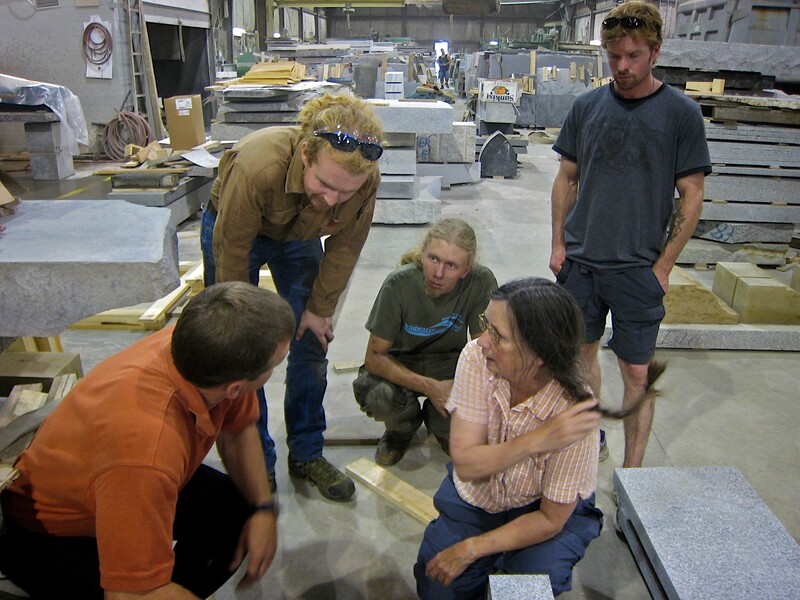 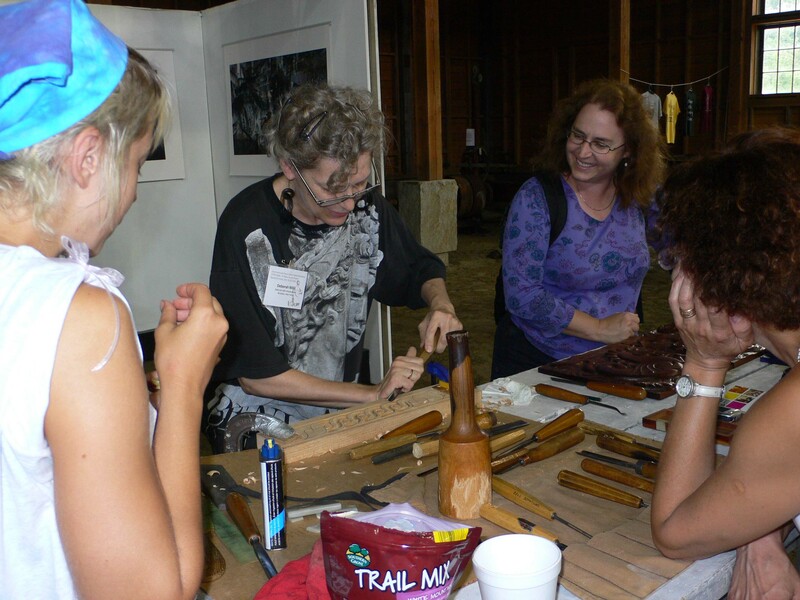 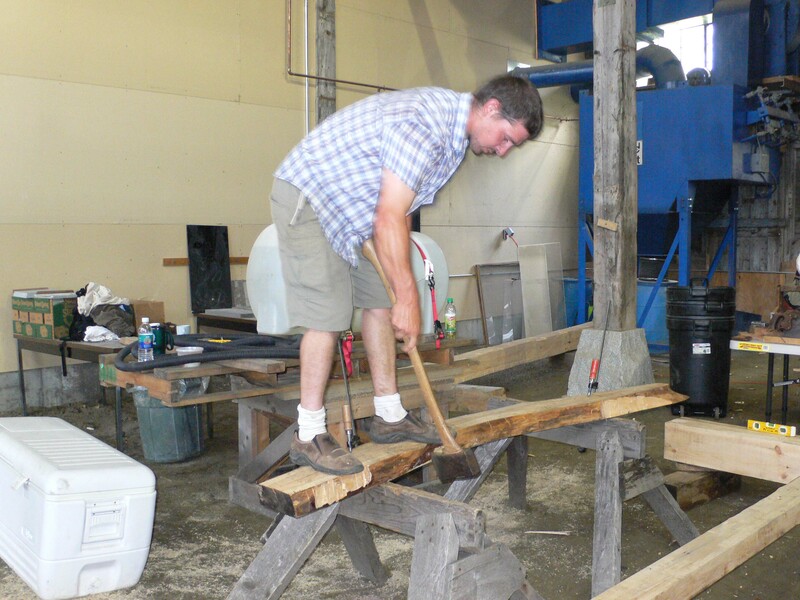 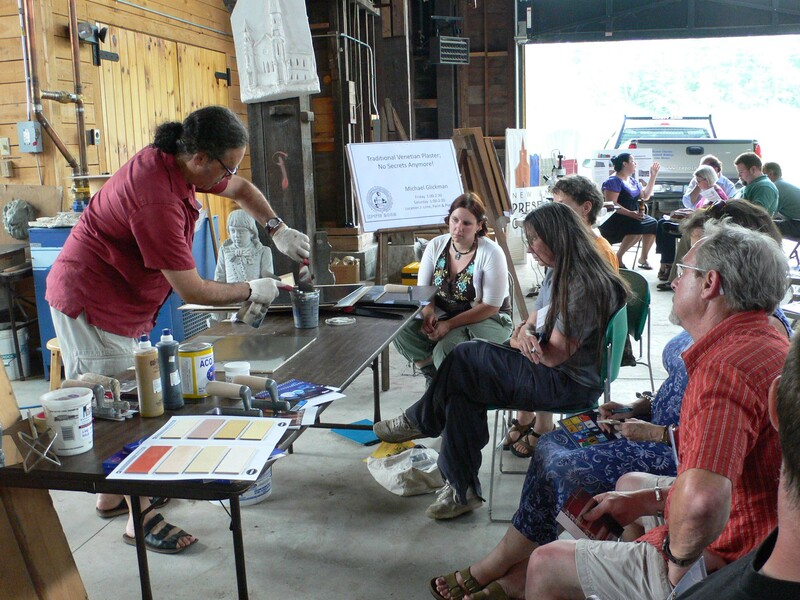 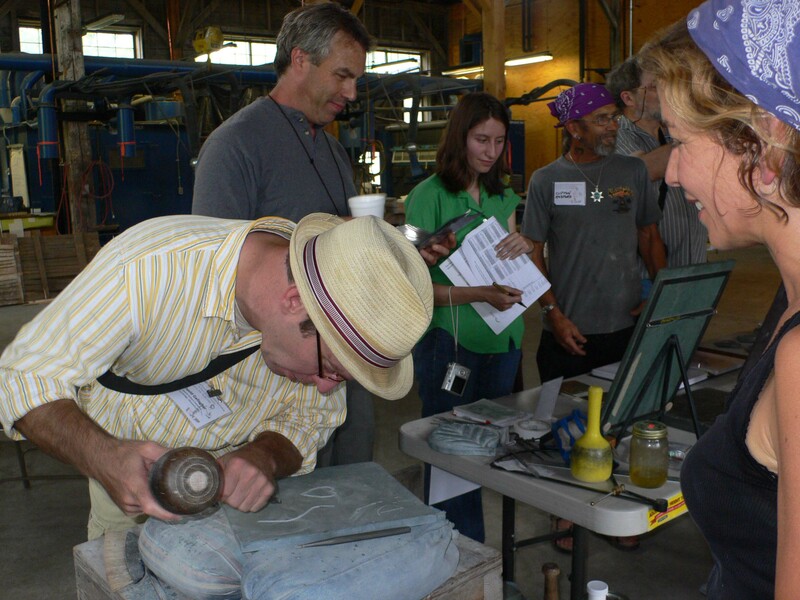 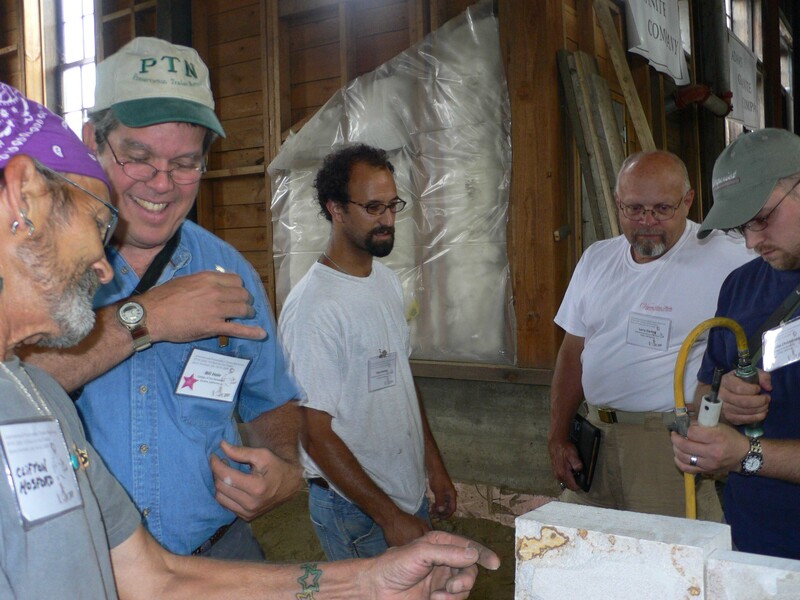 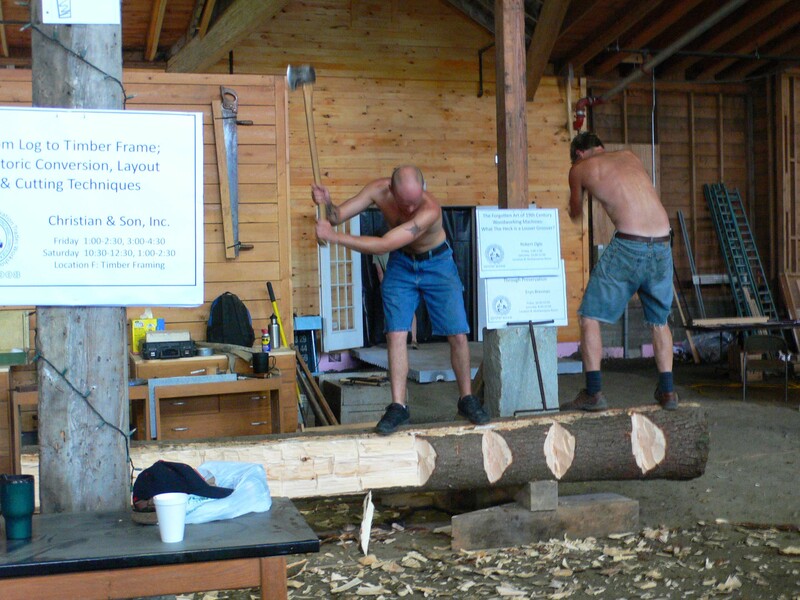 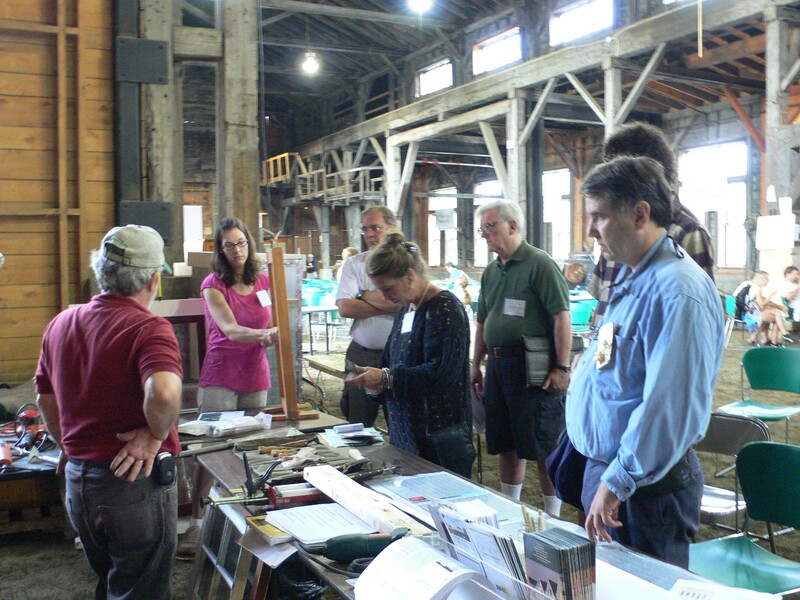 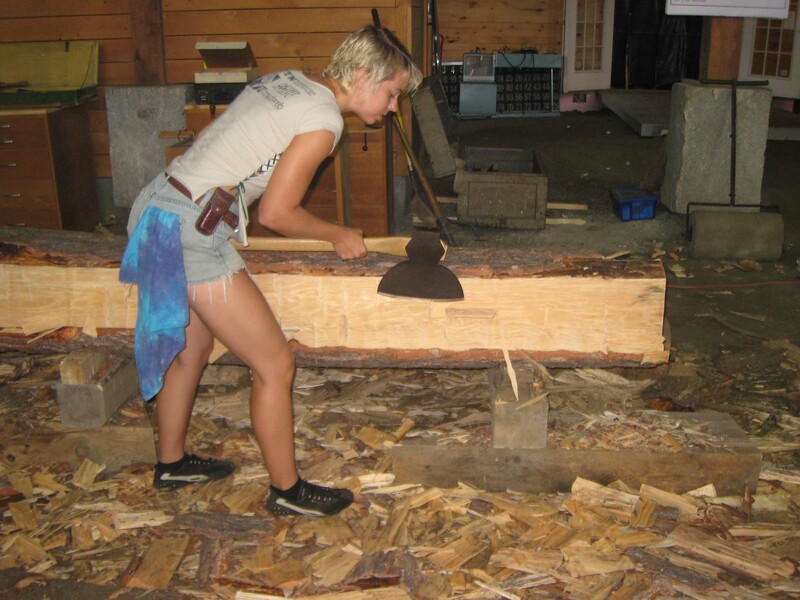 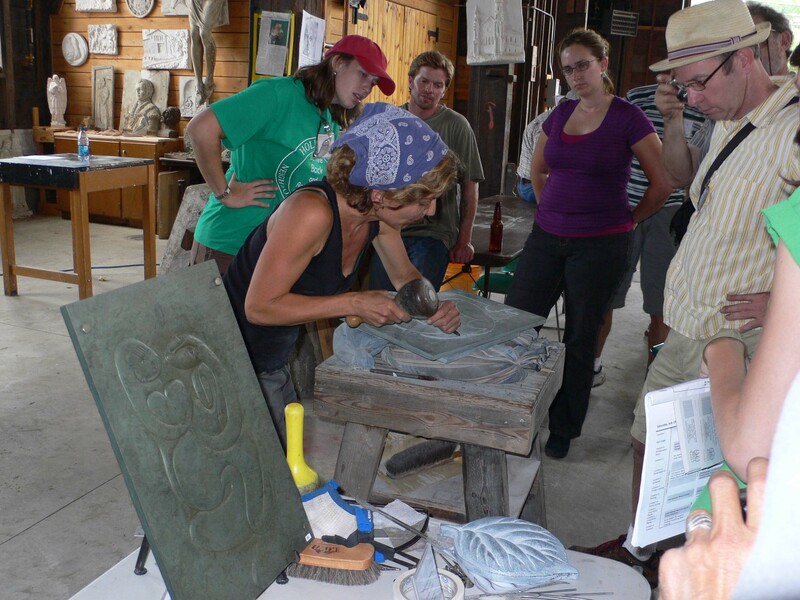 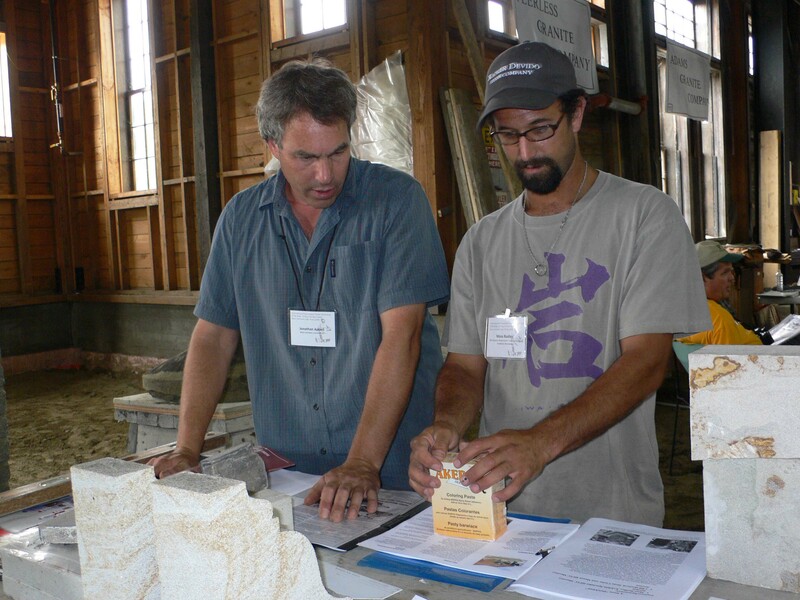 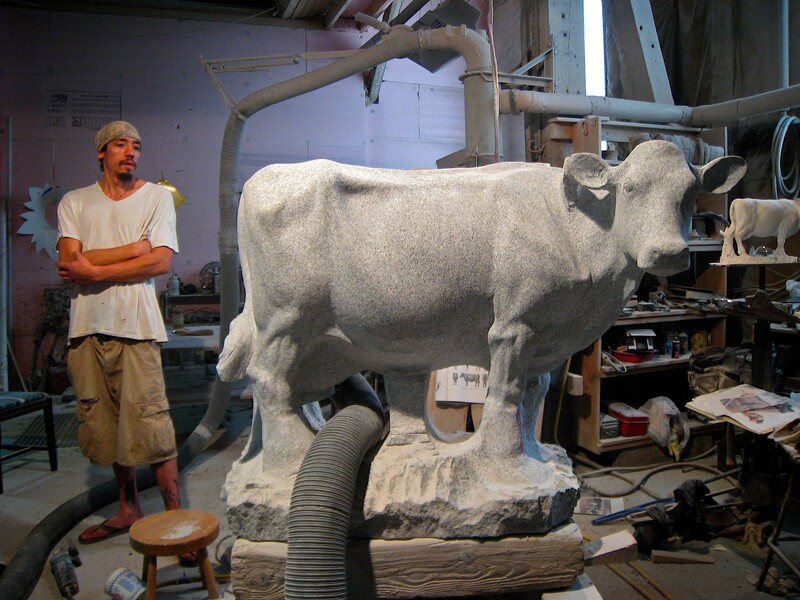 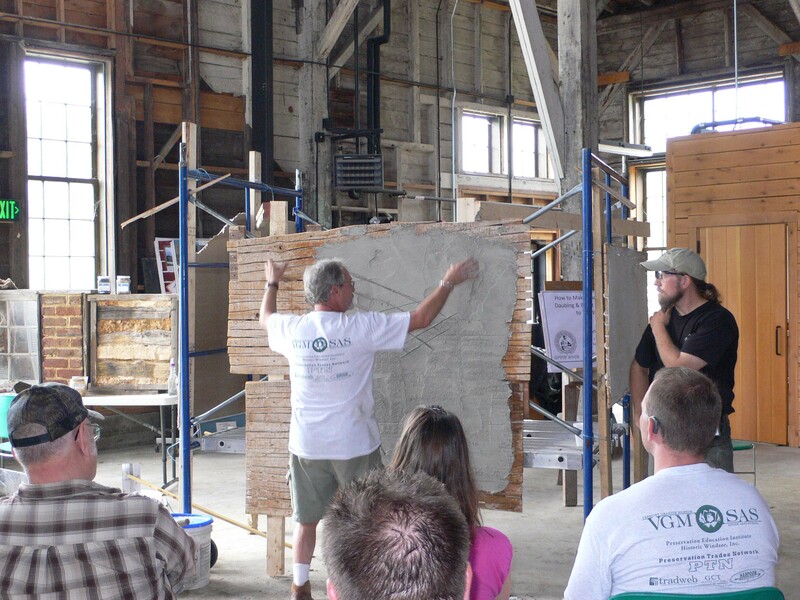 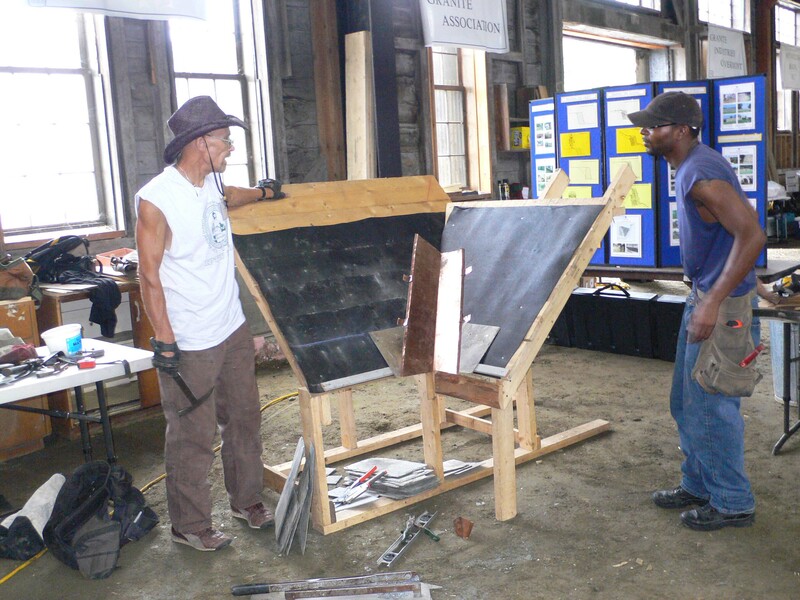 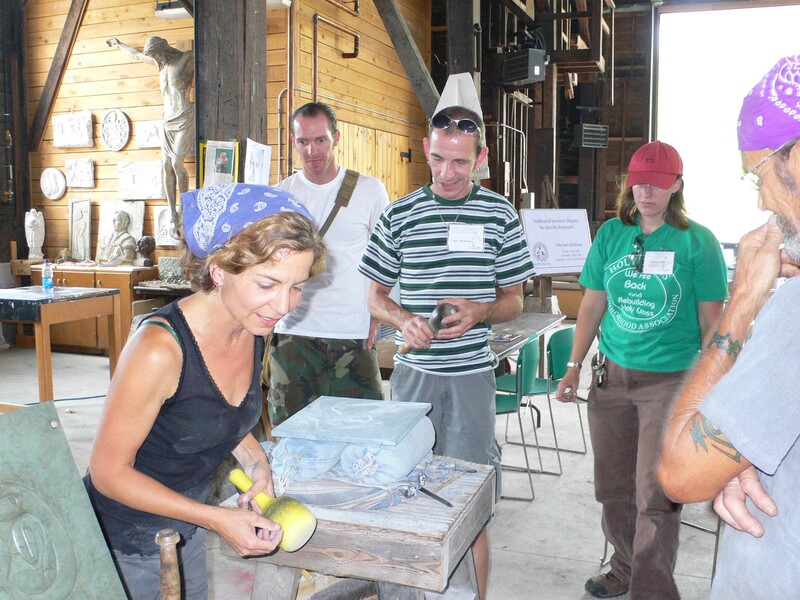 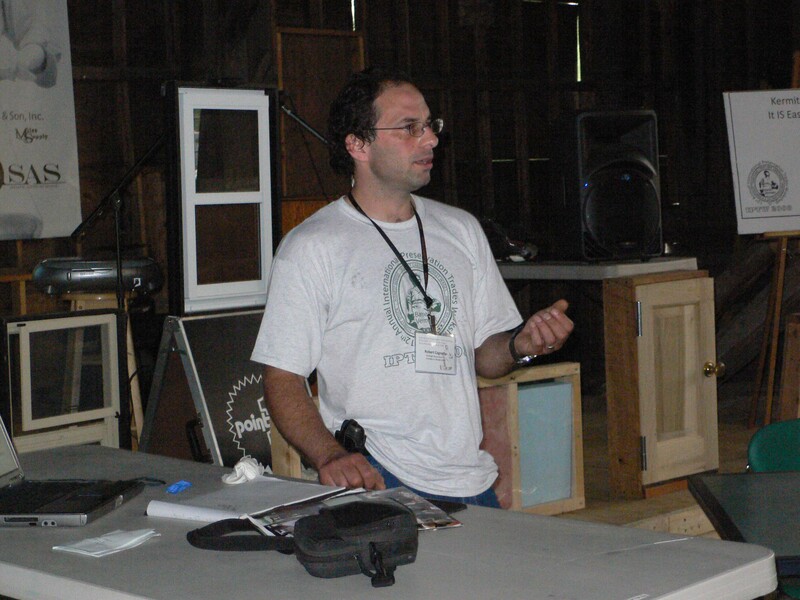 The 12th annual International Preservation Trades Workshop was held July 18-20, 2008 by the Preservation Trades Network, in partnership with the Vermont Granite Museum and Stone Arts School and the Preservation Education Institute and Historic Windsor, Inc. 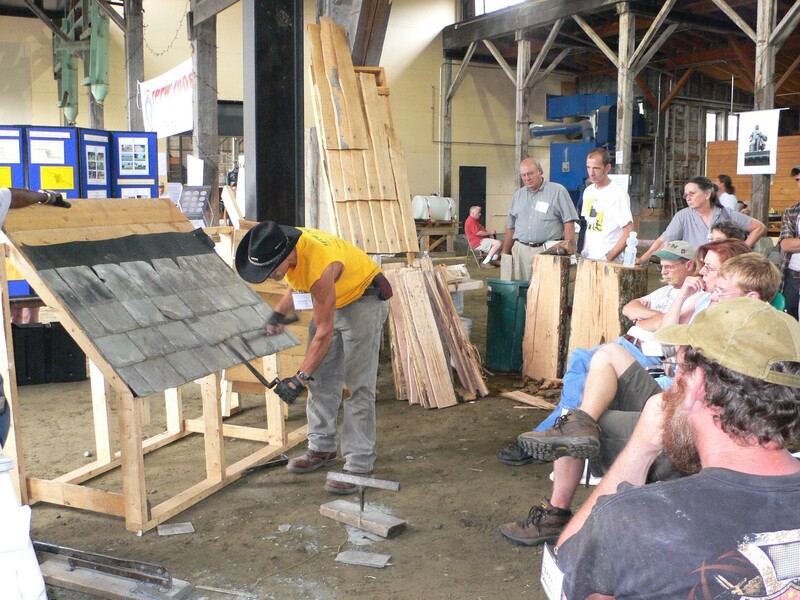 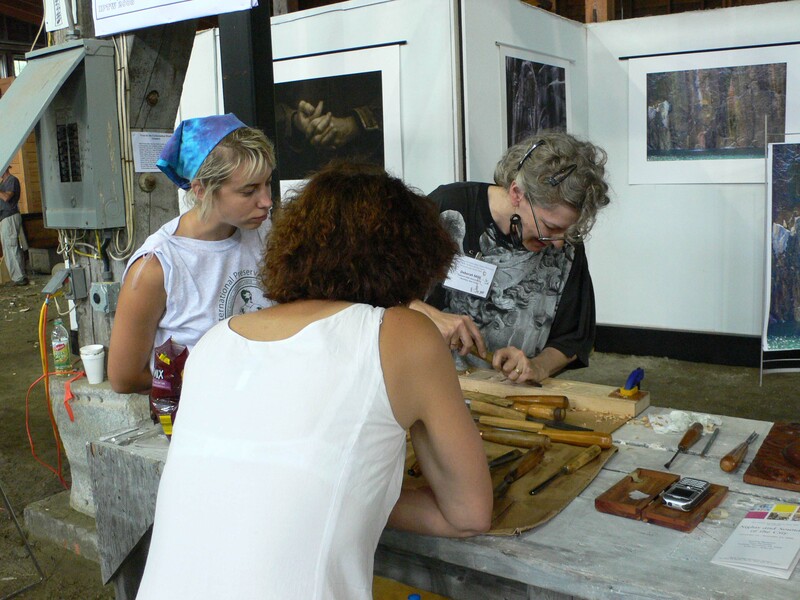 Participants from more than 20 states and 5 countries traveled to Barre, Vermont, a place where this year’s workshop theme – “A Place for the Trades” – holds special meaning. 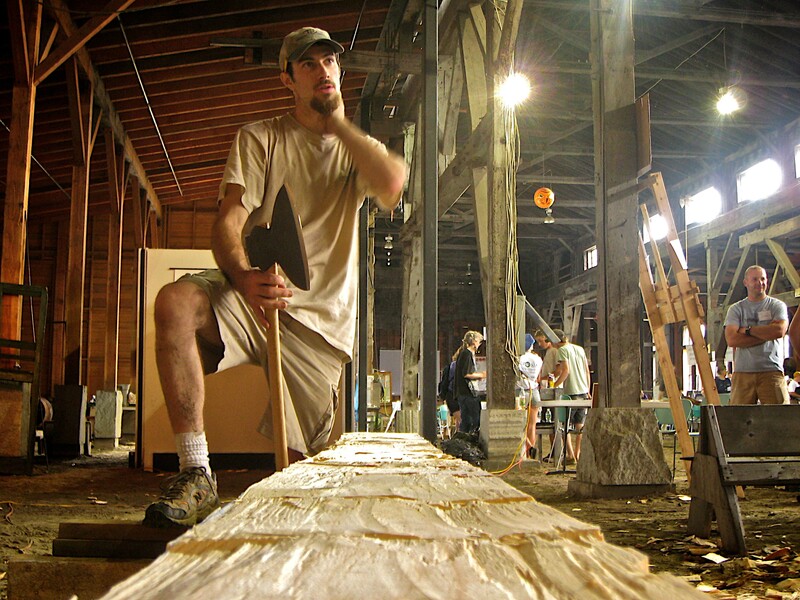 With its long and proud tradition of workmanship, industry and multi-cultural heritage, Barre is a living example of the traditions, challenges and opportunities facing everyone who cares about conservation of the built environment, maintaining livable communities and creating opportunities for respected and valued employment for people in the trades. 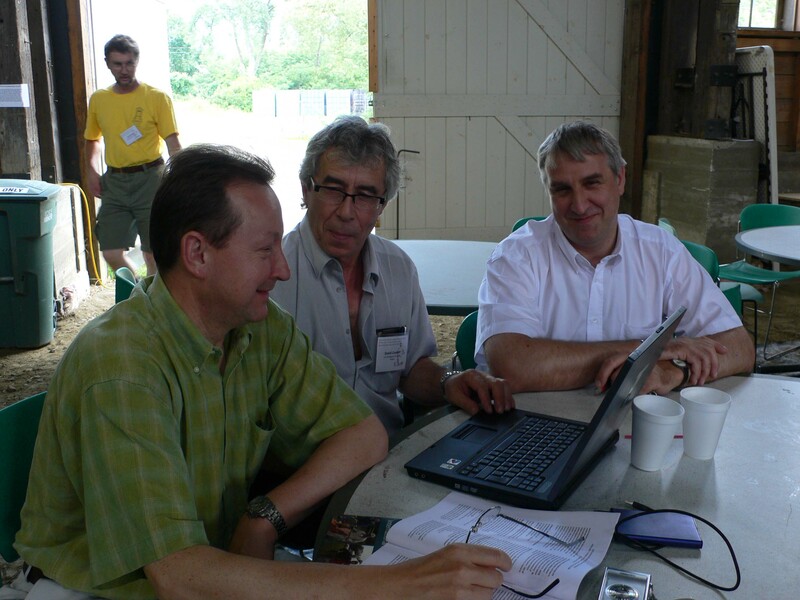 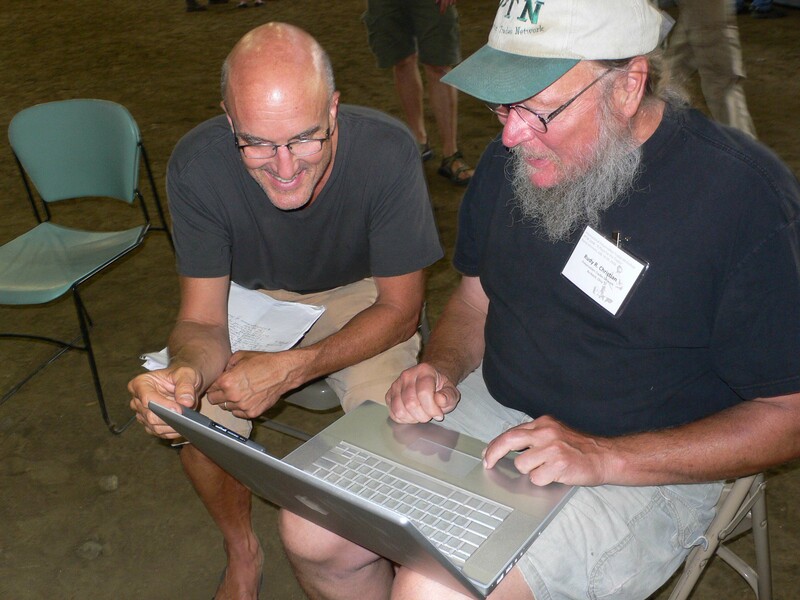 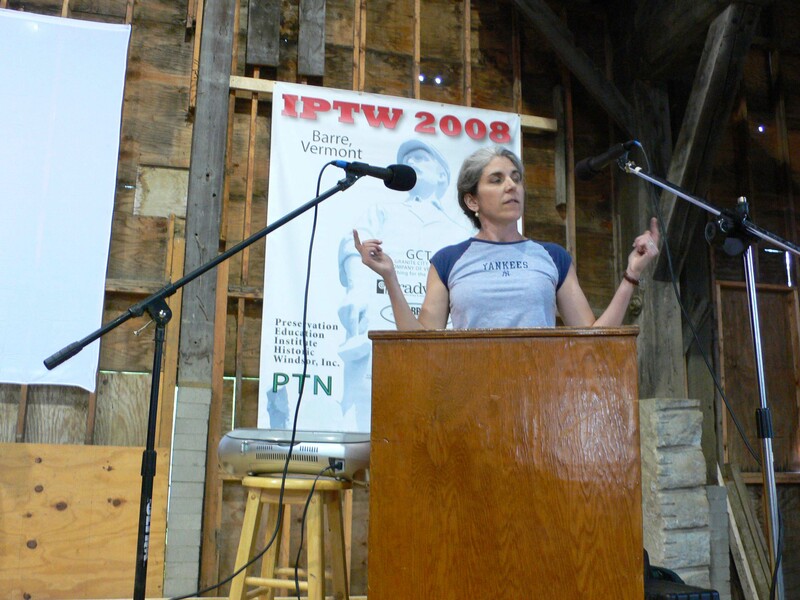 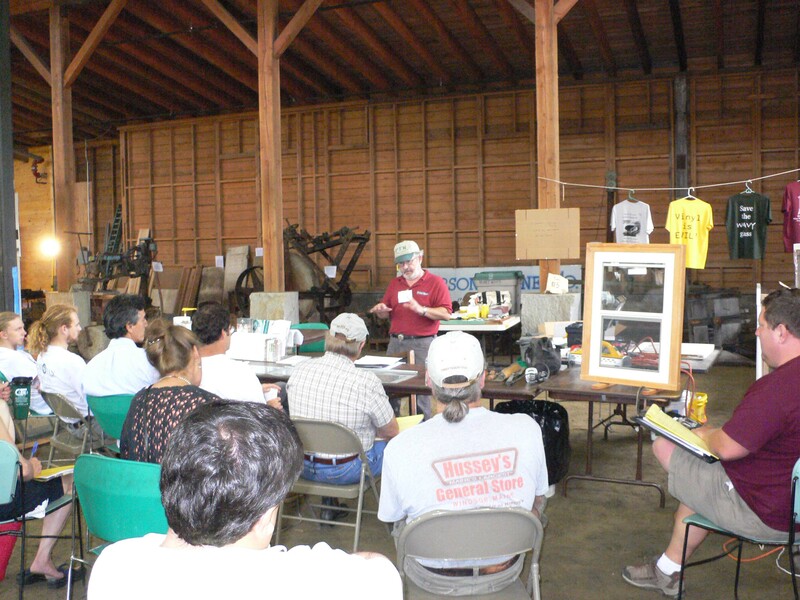 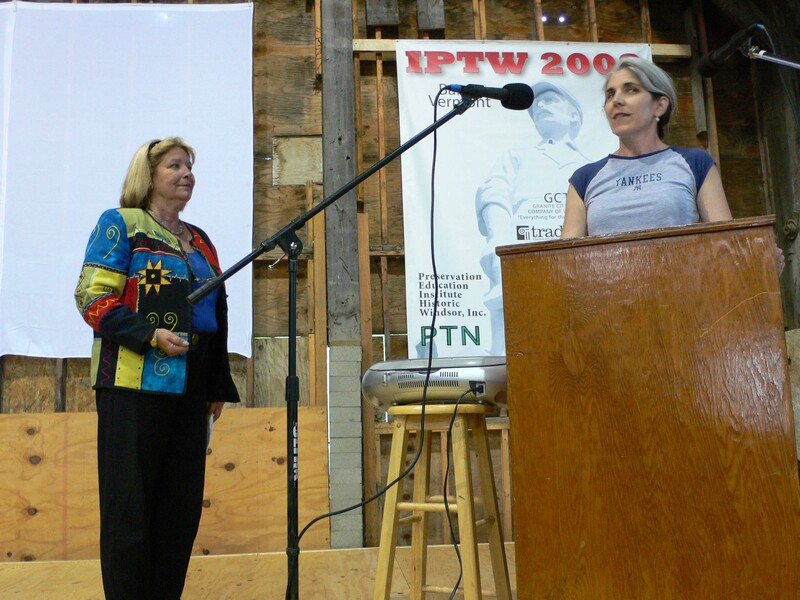 A full slate of pre-IPTW workshops and activities preceded the opening of IPTW 2008 on July 18th. 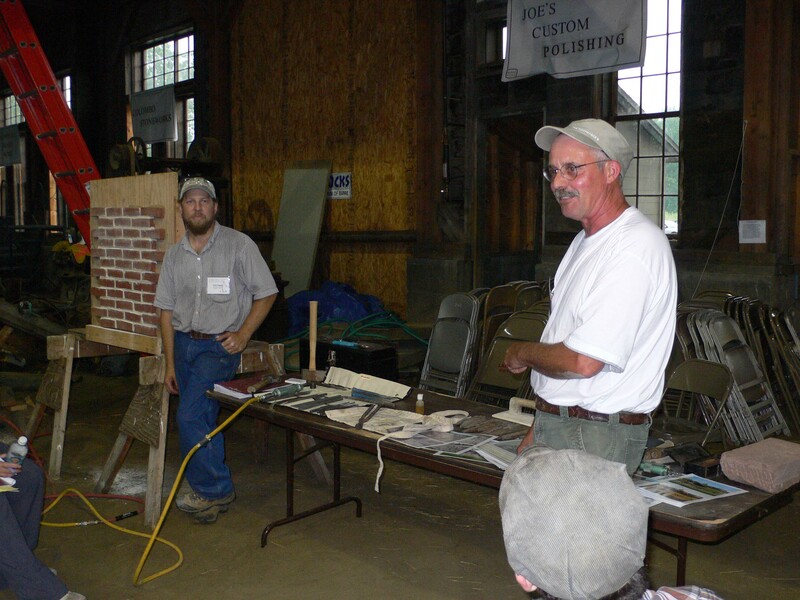 Neil Rippingale of the Dry Stone Conservancy of Lexington, Kentucky led a two-day drystone walling workshop at the event site, and PTN volunteers constructed a performance stage for the Vermont Granite Museum to remain as a lasting reminder of a successful partnership. 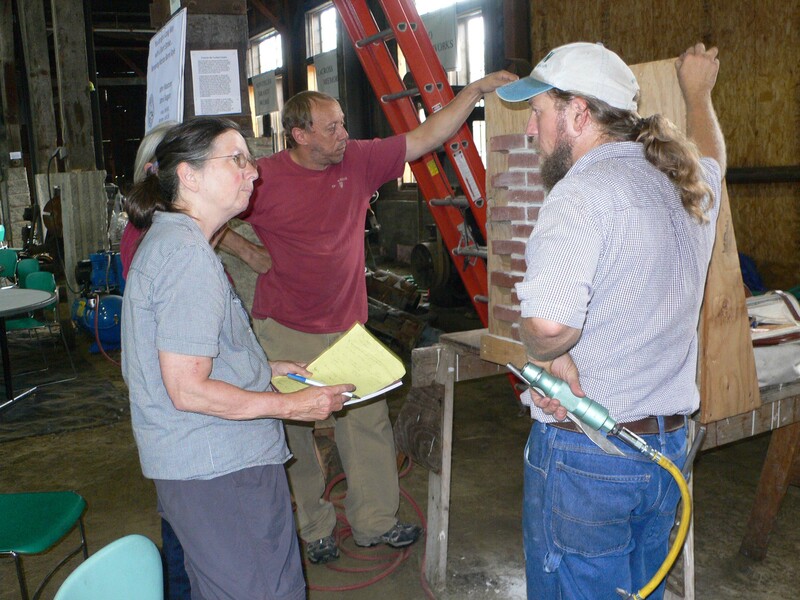 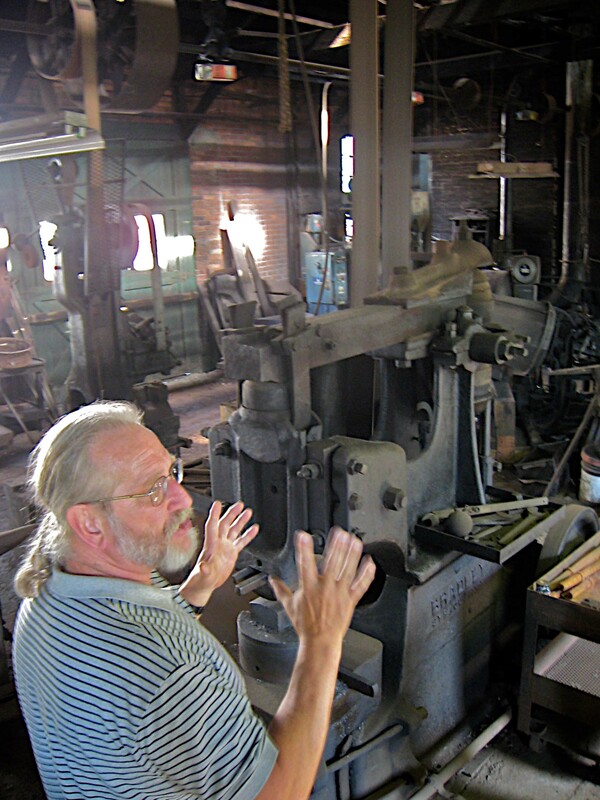 Students and instructors from the Historic Preservation Program at Colorado Mountain College worked with local volunteers and members of the New England Blacksmiths Association to install a historic line shaft system and machine tools for an operating blacksmith shop at the Vermont Granite Museum. 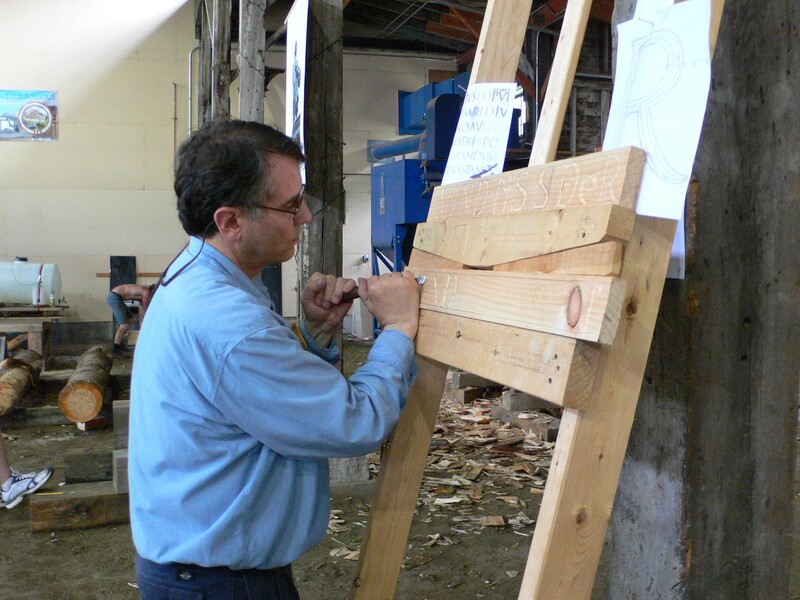 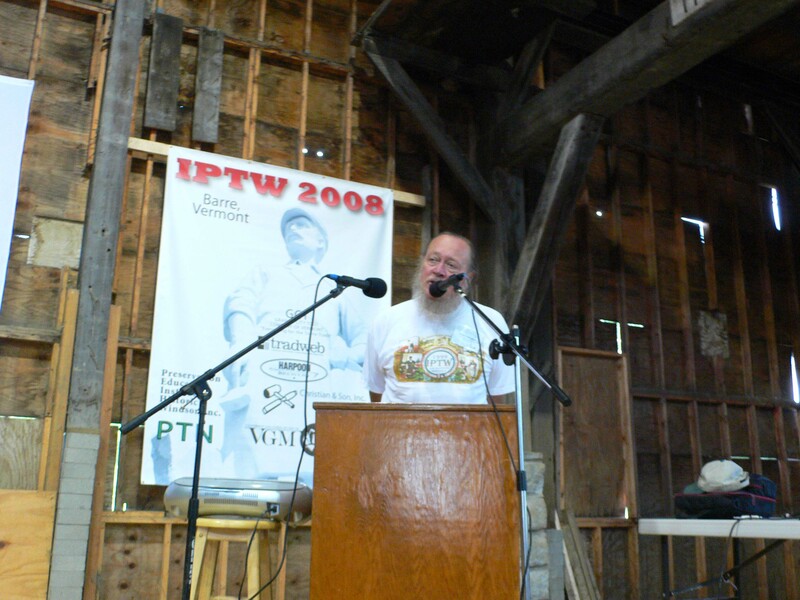 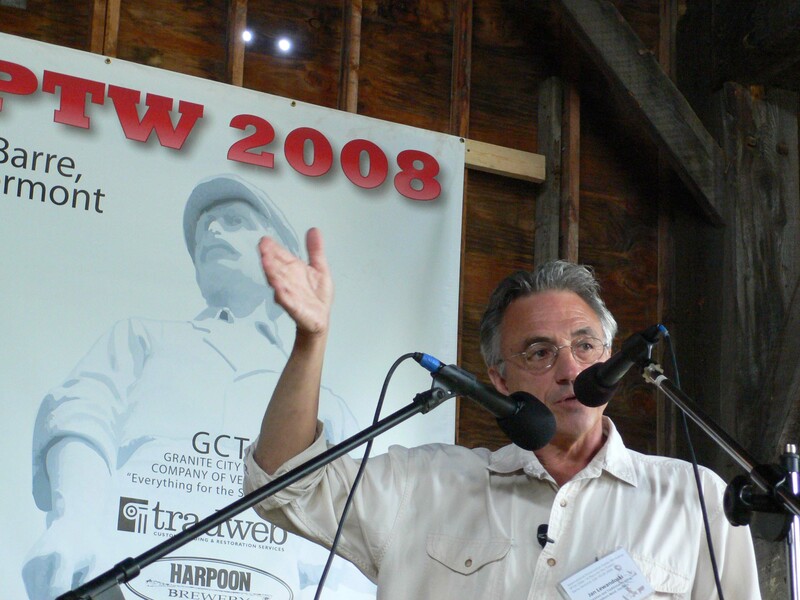 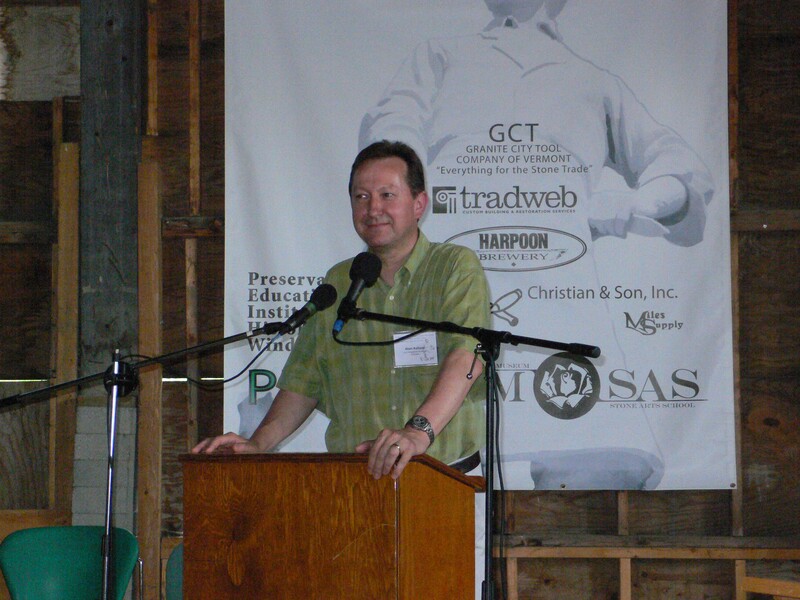 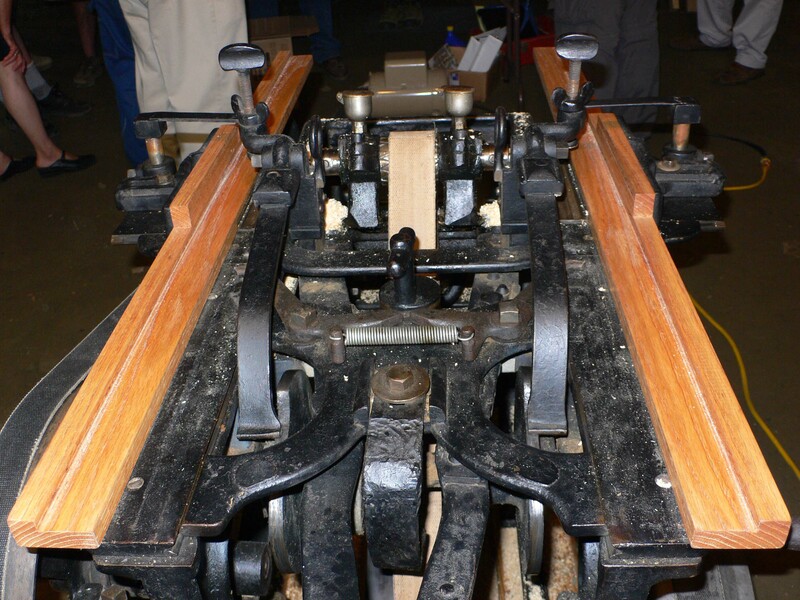 IPTW 2008 opened with the keynote address “Wood, Stone and Iron” given by noted timber framer Jan Lewandoski. 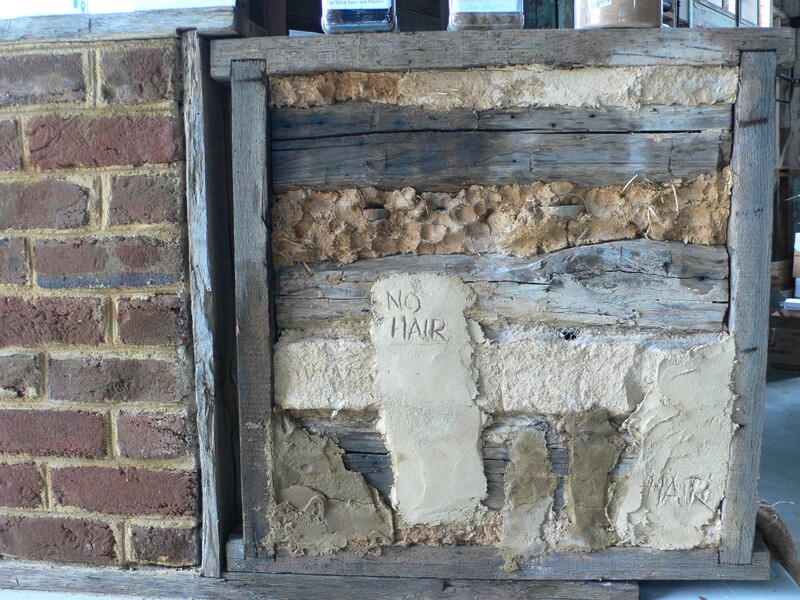 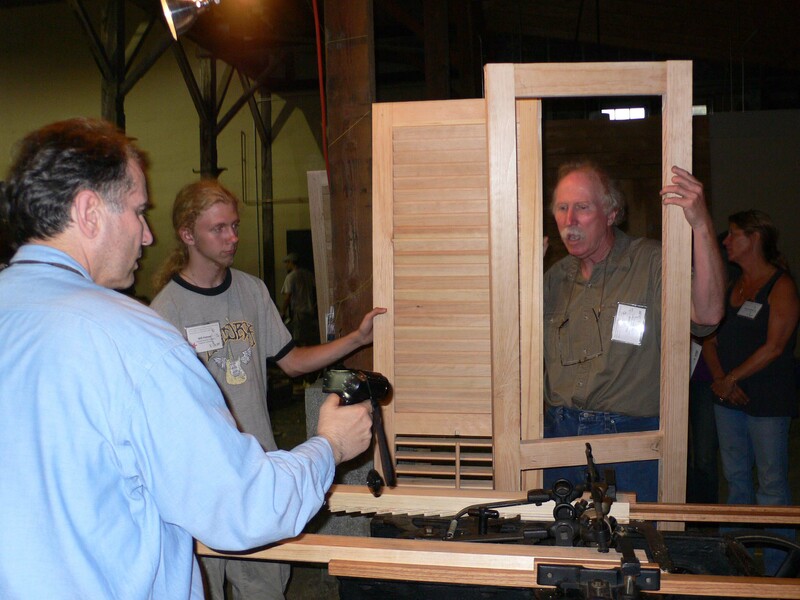 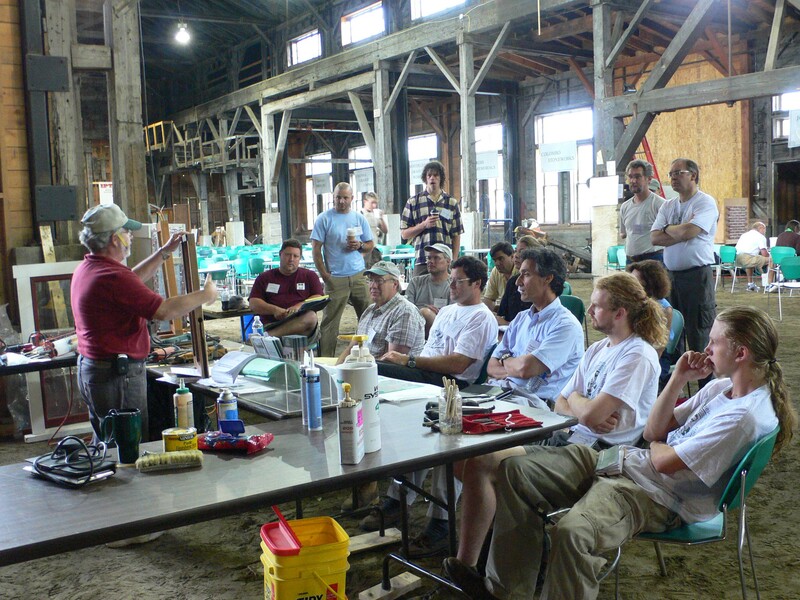 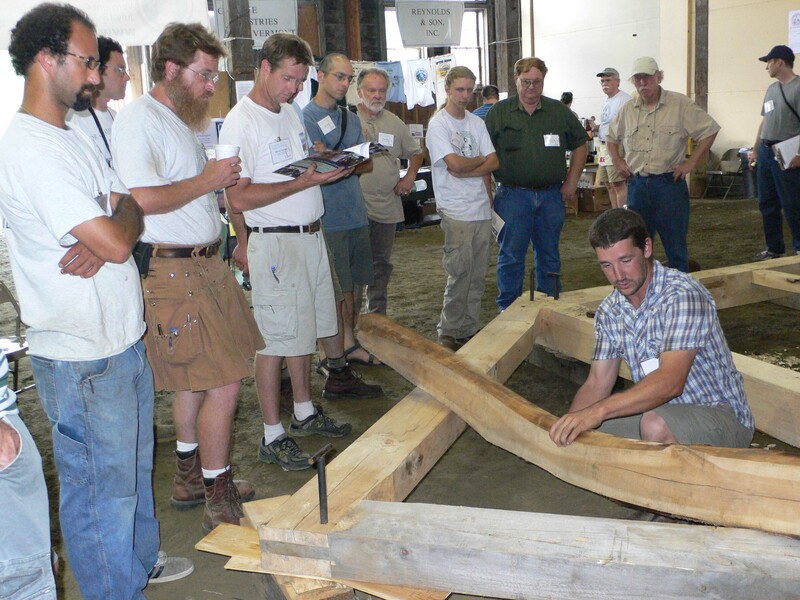 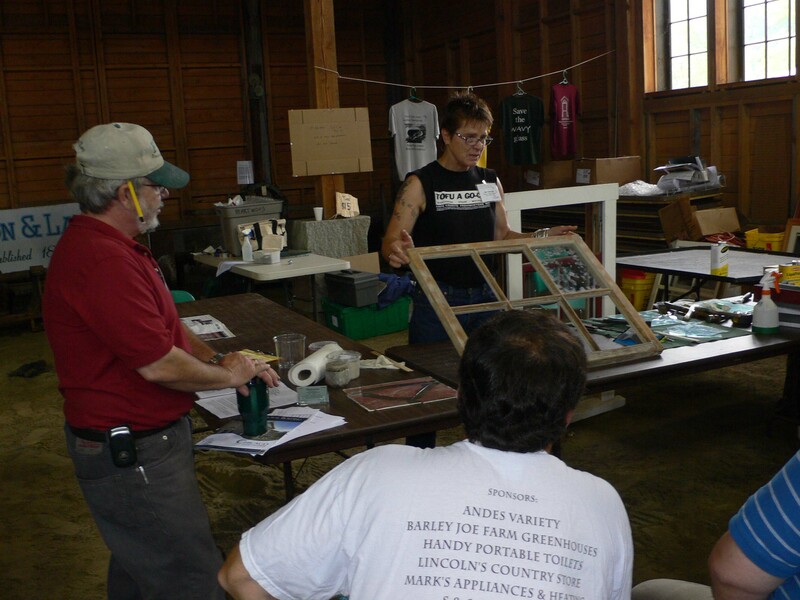 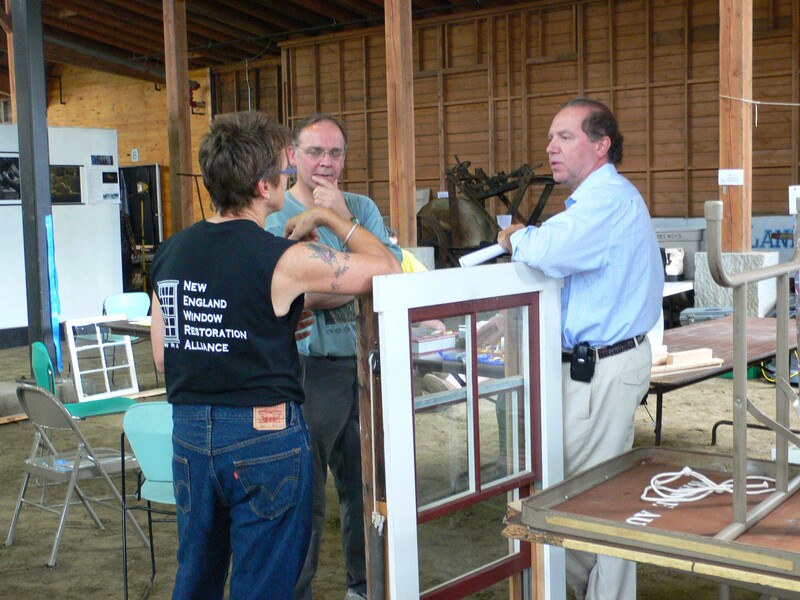 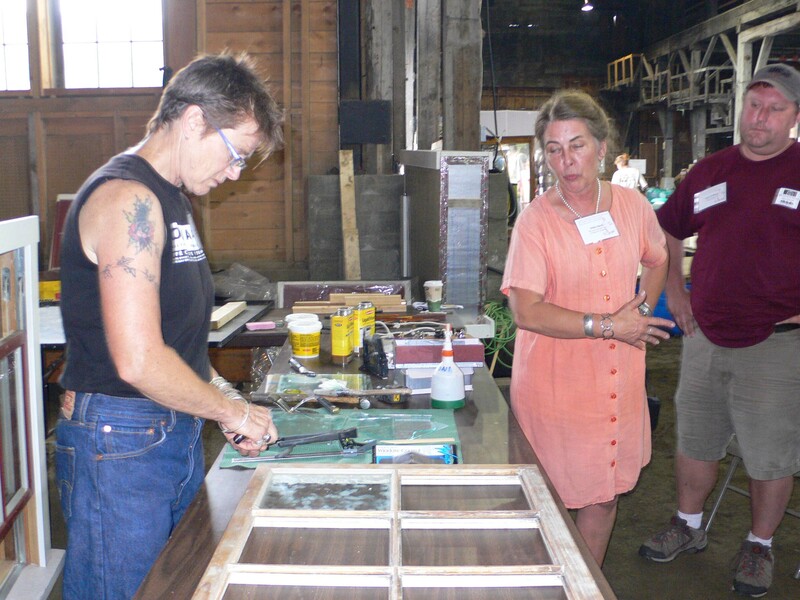 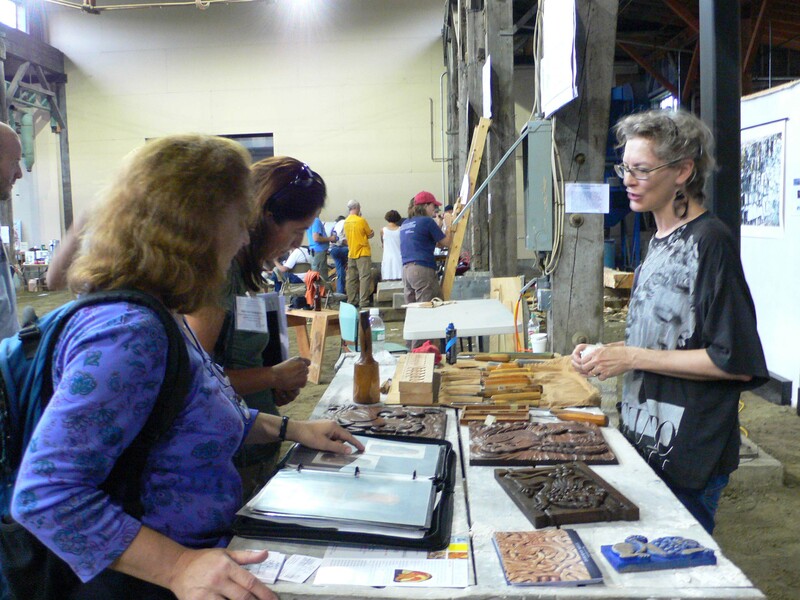 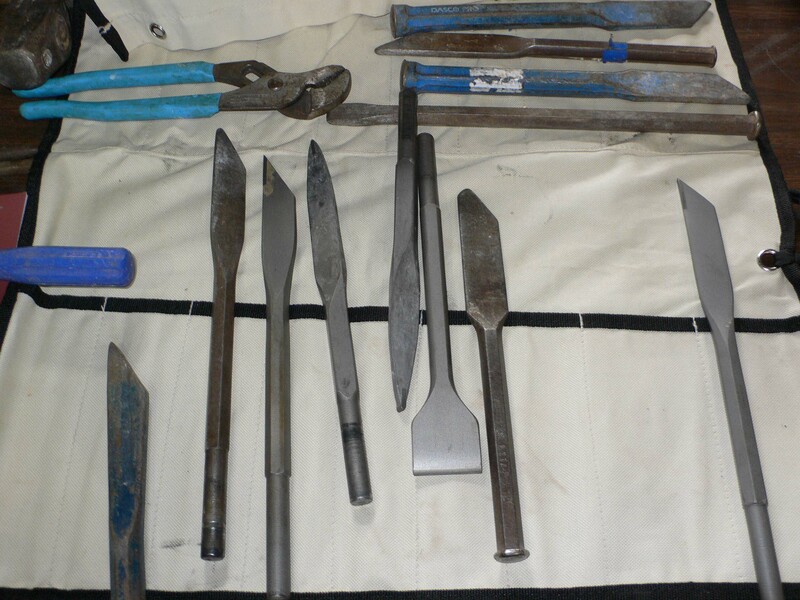 For the next three days, participants attended sessions by an eclectic mix of veteran and first time IPTW presenters on window repair, wood and slate carving, painting and plaster, timber framing, stone and masonry techniques, tools and machines and much more. 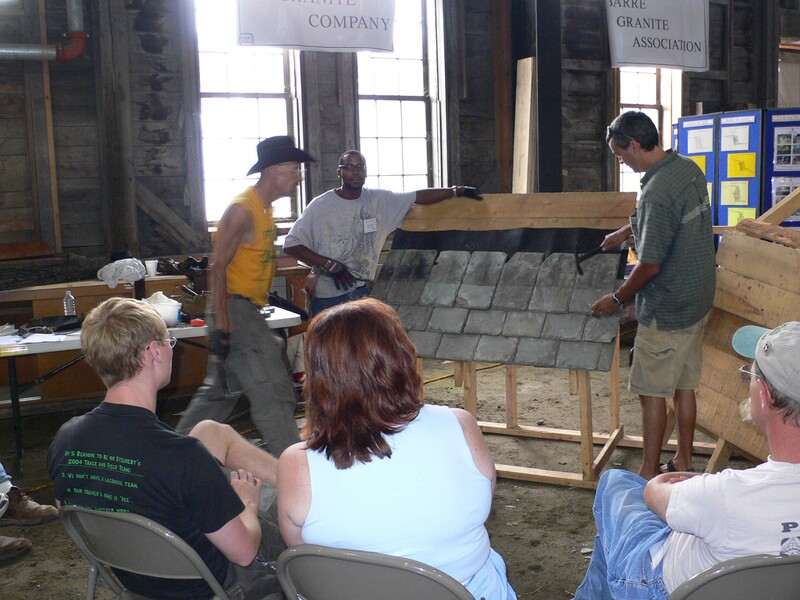 Informative lectures were given on many subjects, including trades education programs in Falmouth Jamaica, Scandinavia, France, Colorado and Kentucky, and a panel discussion on the Vermont granite industry. 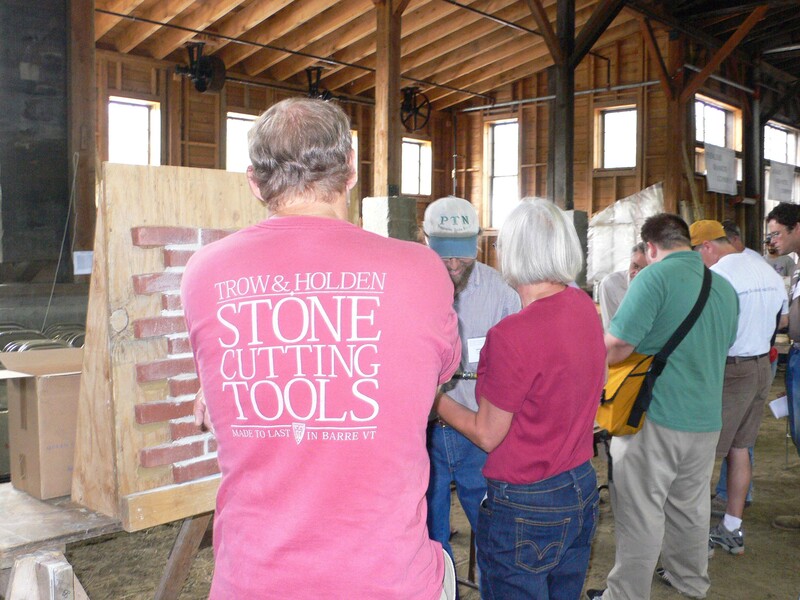 IPTW 2008 slideshows More than forty demonstrators and speakers shared their skills and knowledge in the immense, timber framed granite cutting shed of the former Jones Brothers Granite Company, used by generations of granite carvers, many of whom came to Barre from Italy in the late 19th century drawn by its reputation as the “Granite Capitol of the World”. 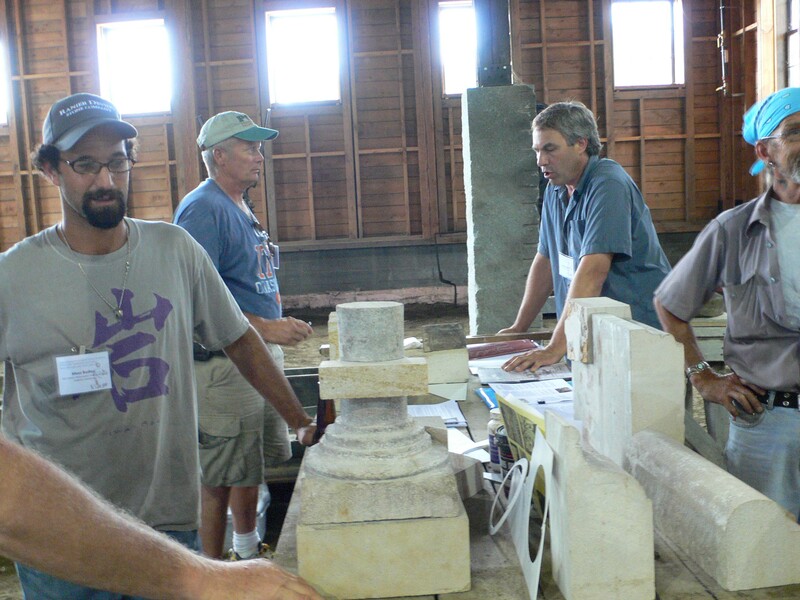 Indeed the town is full of lovely carved granite buildings. 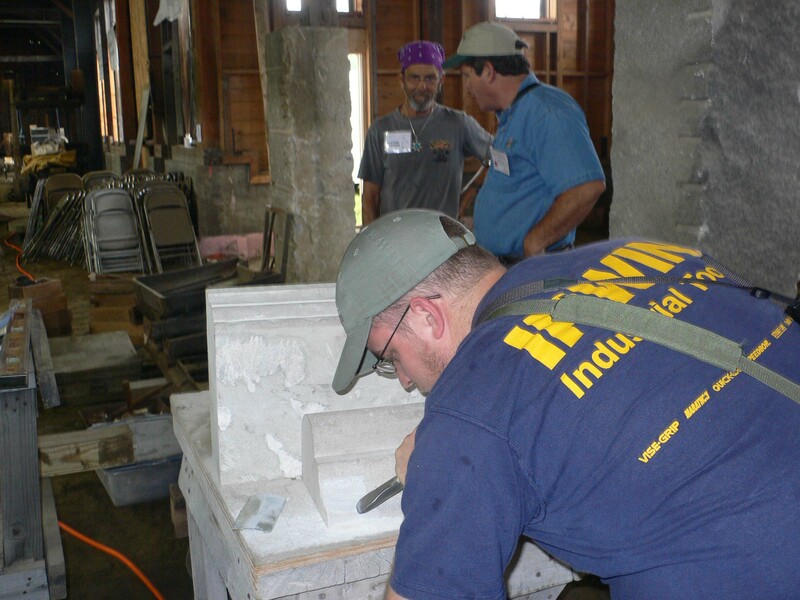 Sadly, the cemeteries show the sadness of the loss of many of the young Italian “scappolinis” to silicosis before vacuum systems were installed, who are memorialized with beautiful and highly personal monuments at Barre’s famous Hope Cemetery. 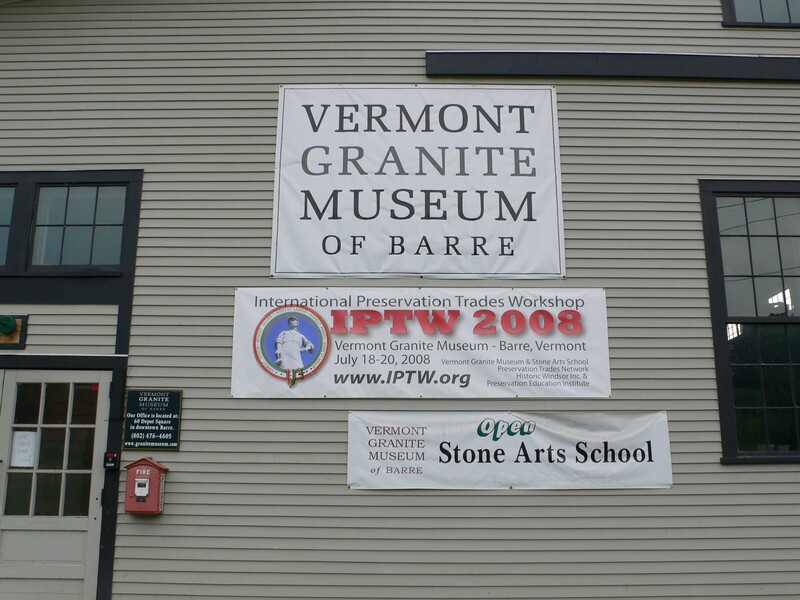 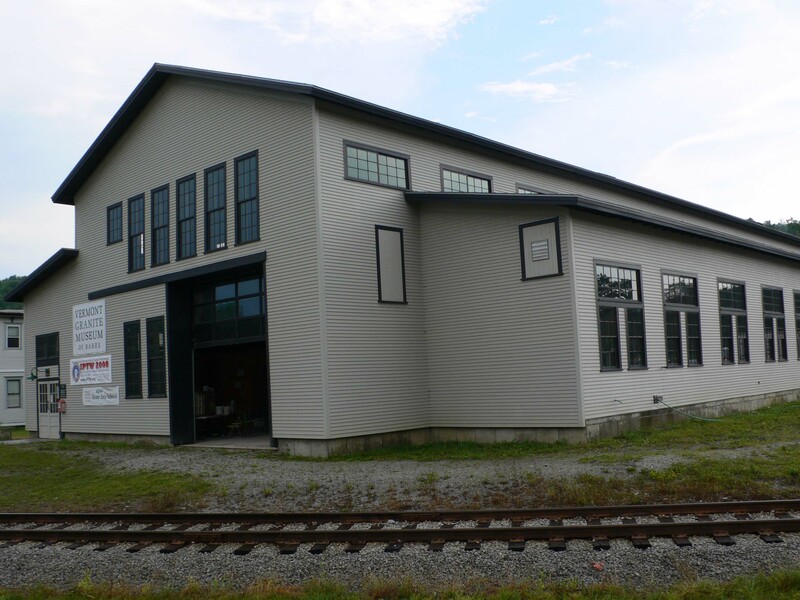 On Friday evening the Barre Historical Society presented the film, “If Stone Could Speak” to benefit the continuing restoration of the National Historic Landmark Socialist Labor Party Hall. 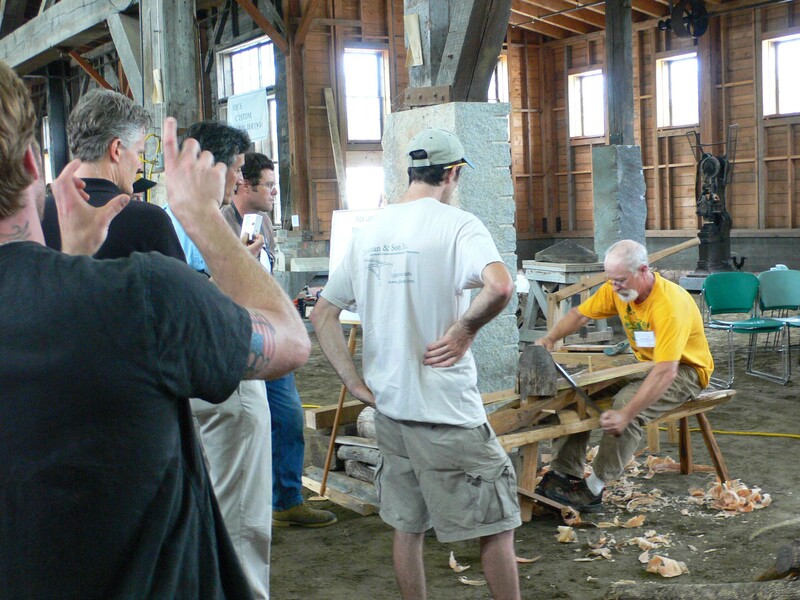 The film explored in wonderful detail the experiences of the Italians carvers who came to Barre. 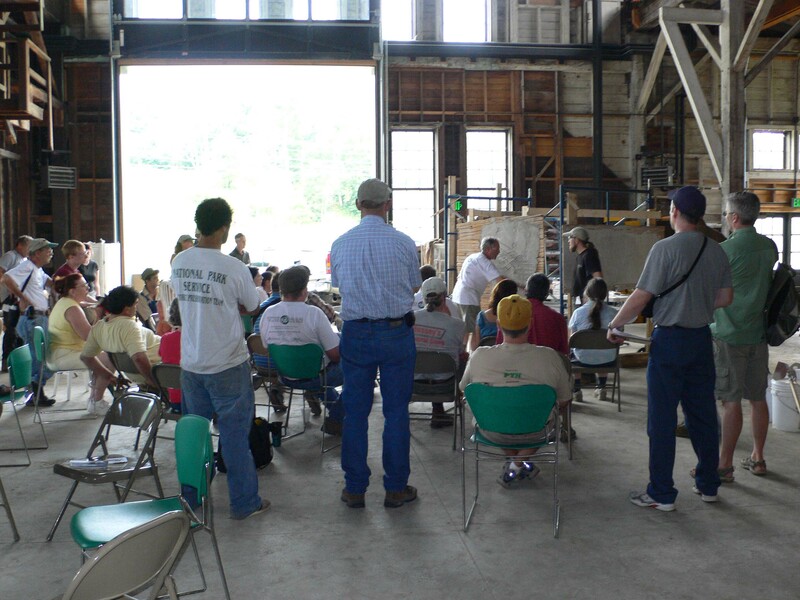 An IPTW tradition continued when PTN musicians took the stage along with the ROGUE BIRDS, a talented central Vermont band, for a rousing evening of music at the Vermont Granite Museum. 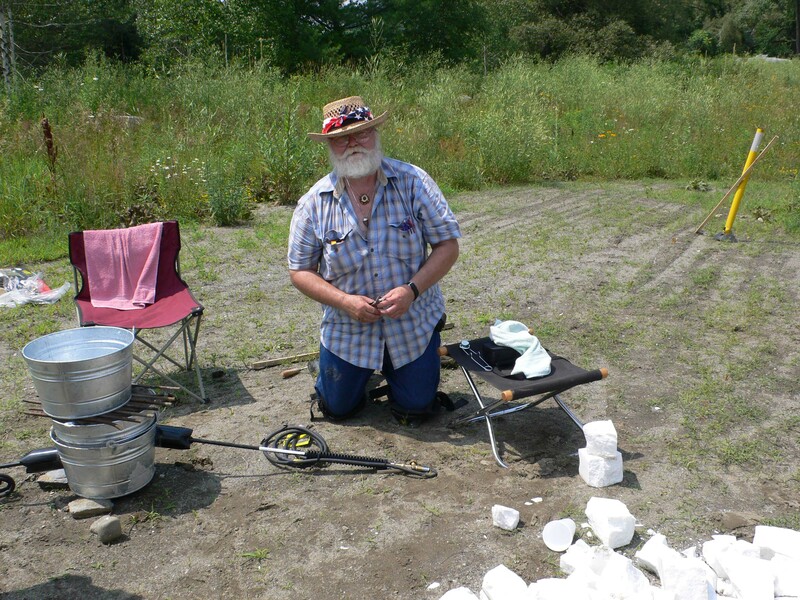 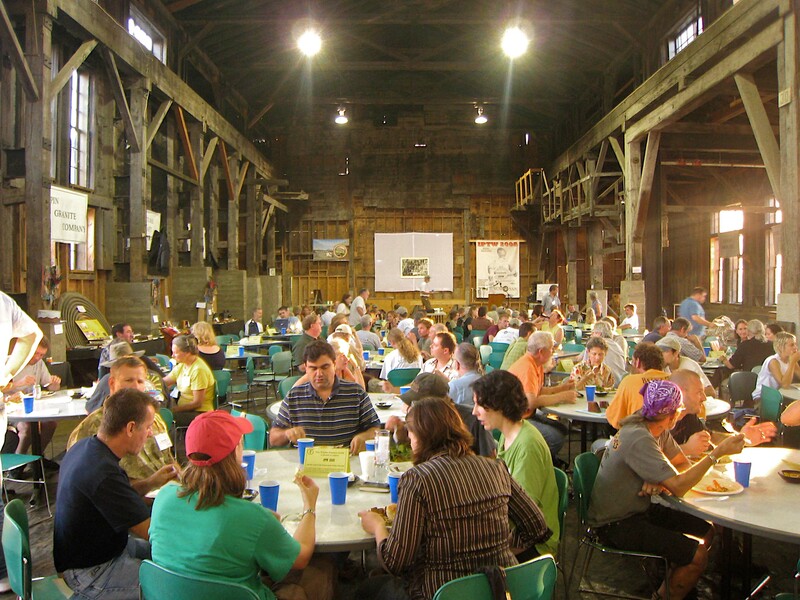 On Saturday evening everyone enjoyed an excellent dinner at the Vermont Granite Museum, and a welcome by Tom Lauzon, Mayor of the City of Barre, followed by presentation of the 2008 Askins Achievement Award to David Gibney of Smithsburg, Maryland. 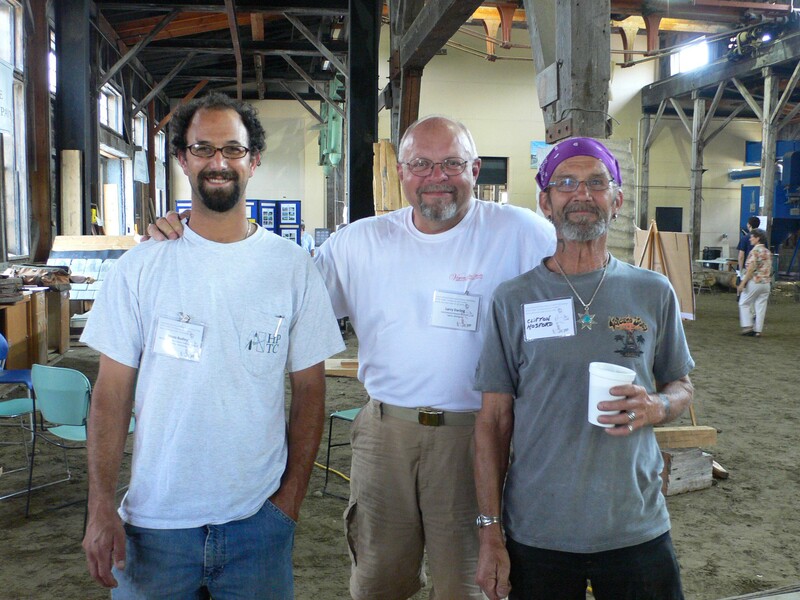 J. Michael Logan, Supervisor of Heritage Conservation, with the Howard County Recreation and Parks Department, introduced David citing his outstanding craftsmanship, dedication to teaching and sharing his skills, and his distinguished record of public service for Habitat for Humanity, PTN and the people of New Orleans following Hurricane Katrina. 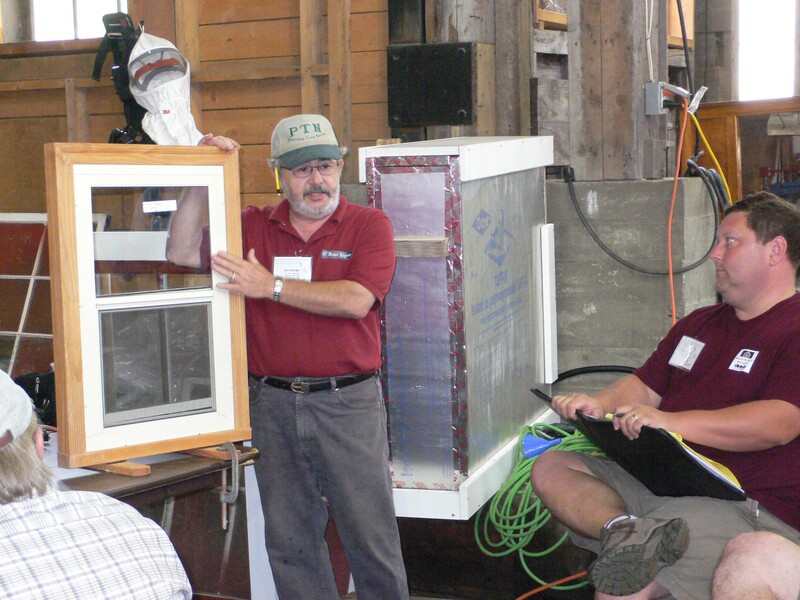 After the awards presentation, the ever popular annual PTN live auction helped raise much needed funds for PTN’s continued work to promote the traditional trades and trades education. 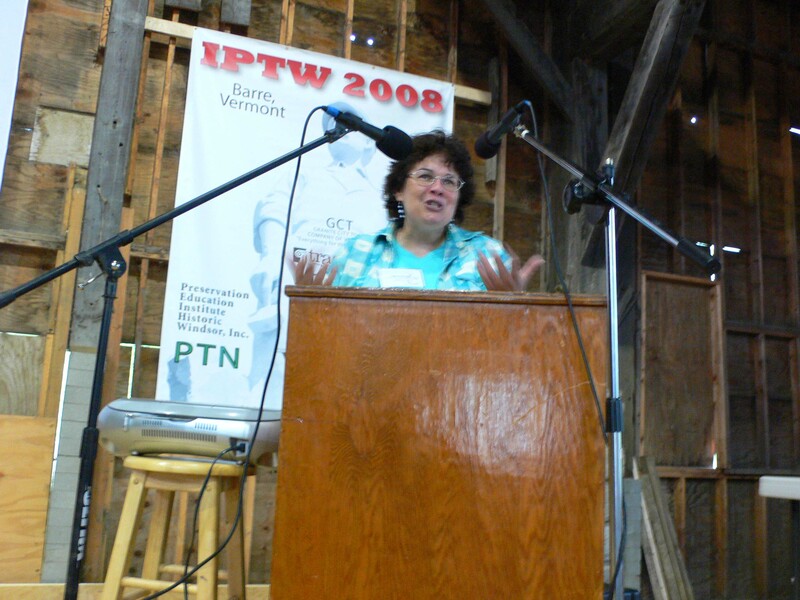 Another highlight of this year’s IPTW was the opportunity to recognize Judy Hayward and the Preservation Education Institute of Windsor, Vermont for 25 years of innovative and distinguished accomplishment in preservation education and contributions to the traditional trades. 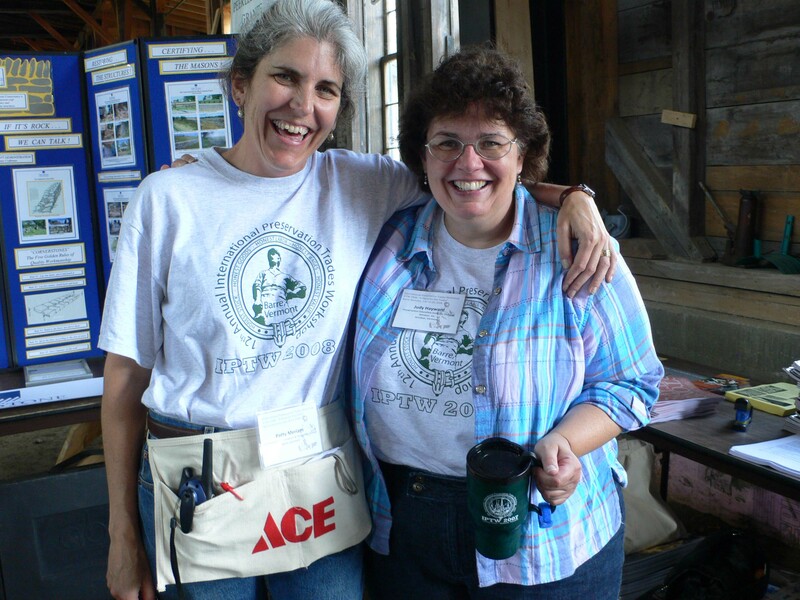 Judy was recognized by Patricia L. Meriam, Vice President of the Vermont Granite Museum and Stone Arts School, and presented with a Lifetime PTN Membership on behalf of the Board of Directors of the Preservation Trades Network. 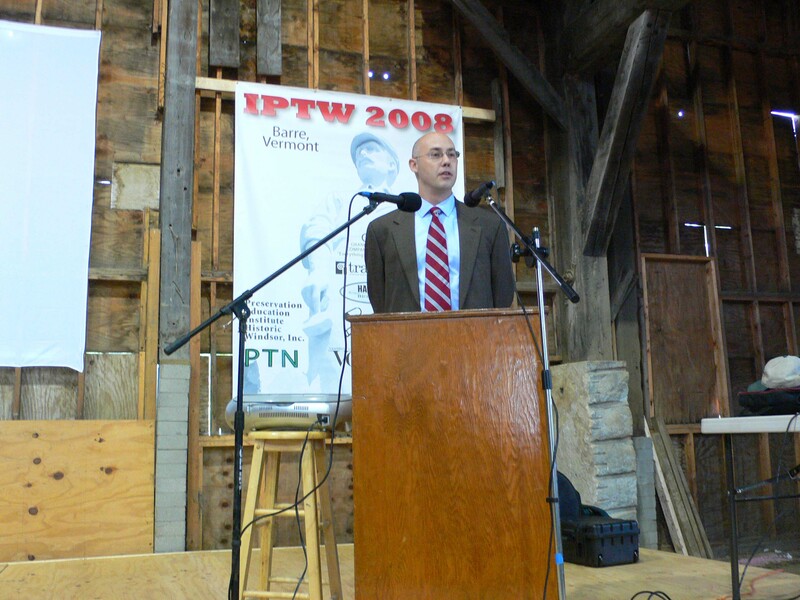 PTN Executive Director, Rudy Christian, led the annual membership meeting on July 20th to provide an open forum for discussion of current and future PTN projects and initiatives including the 2008 Field School held this summer in New Orleans in partnership with the University of Florida and World Monument Fund, and the announcement of the IPTW 2009 venue. 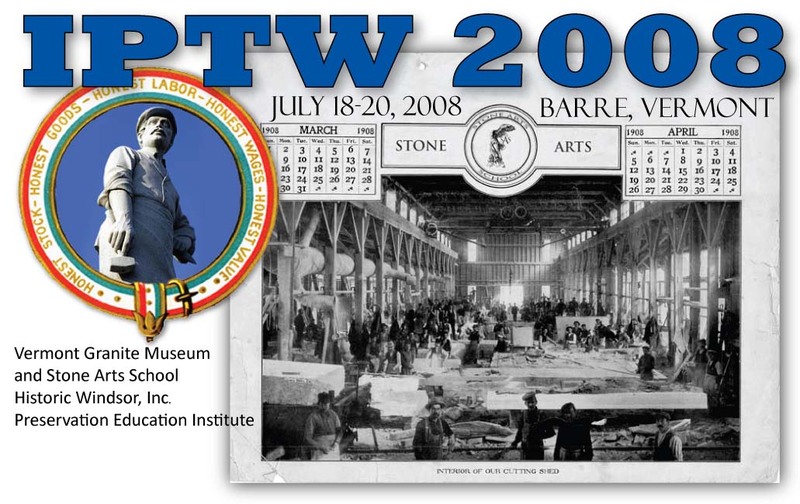 Mark your calendars now for August 25-29, 2009, when IPTW 2009 and the 3rd International Trades Education Symposium (ITES) will be held in Leadville, Colorado in partnership with the Historic Preservation Program of Colorado Mountain College. 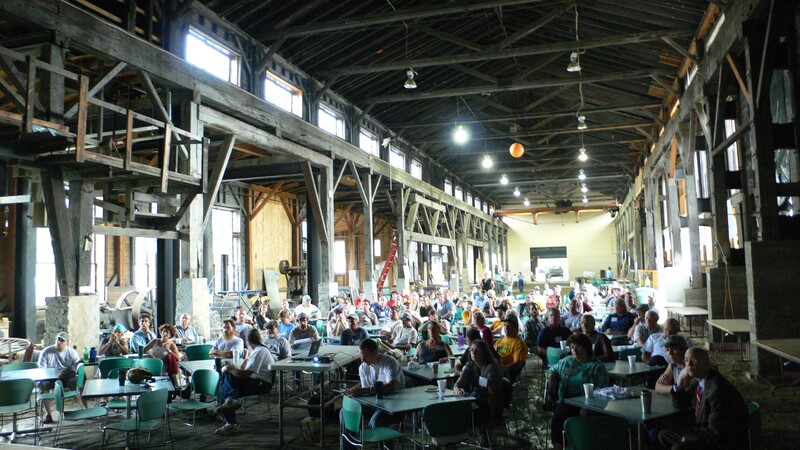 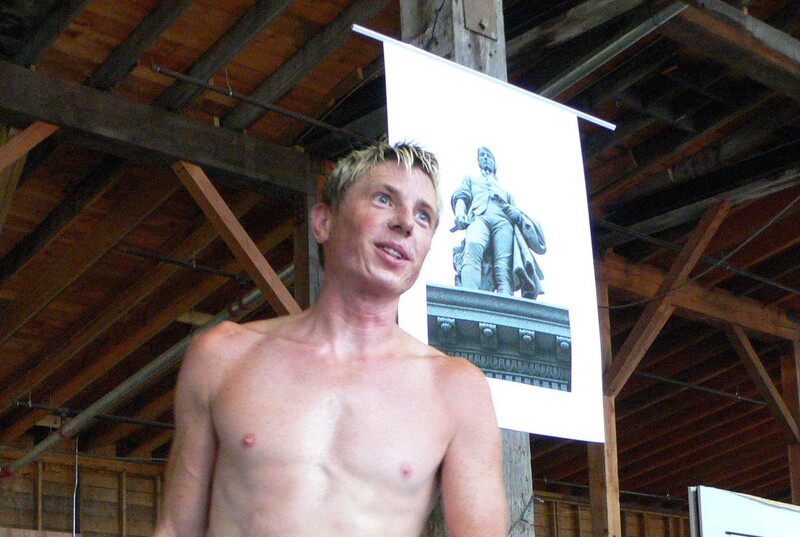 It was a fulfilling weekend in a remarkable venue steeped in history and resonant with the legacy of the trades. 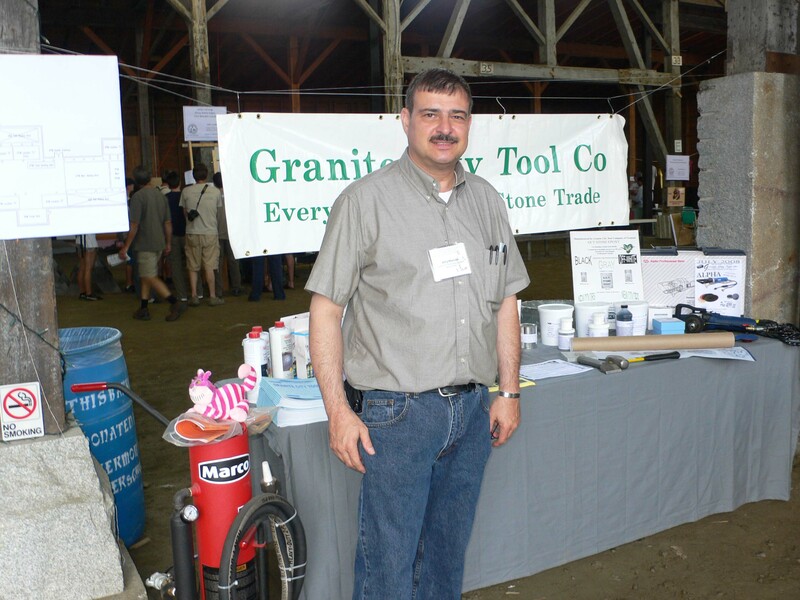 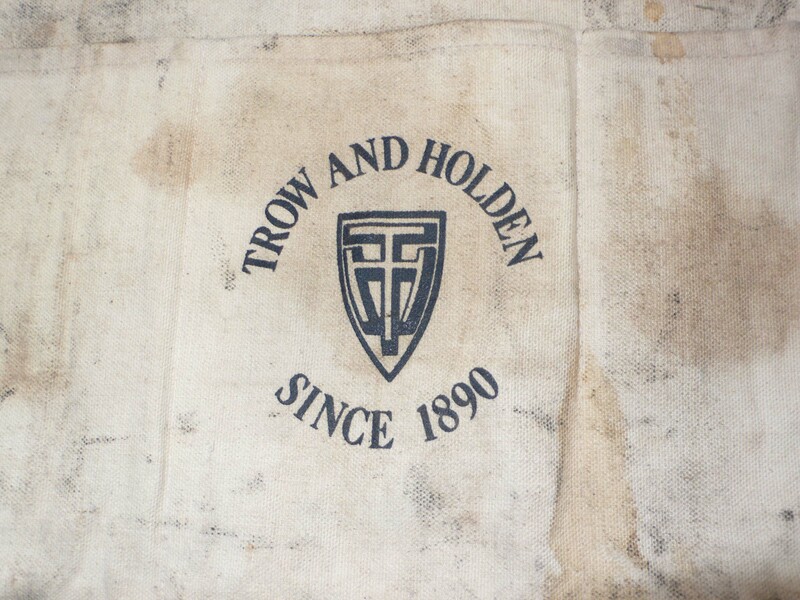 PTN is proud to recognize Tradweb, Granite City Tool Company of Vermont, Harpoon Brewery, Christian and Son, Inc., Miles Supply Company and the Timber Framers Guild for their generous support and sponsorship.